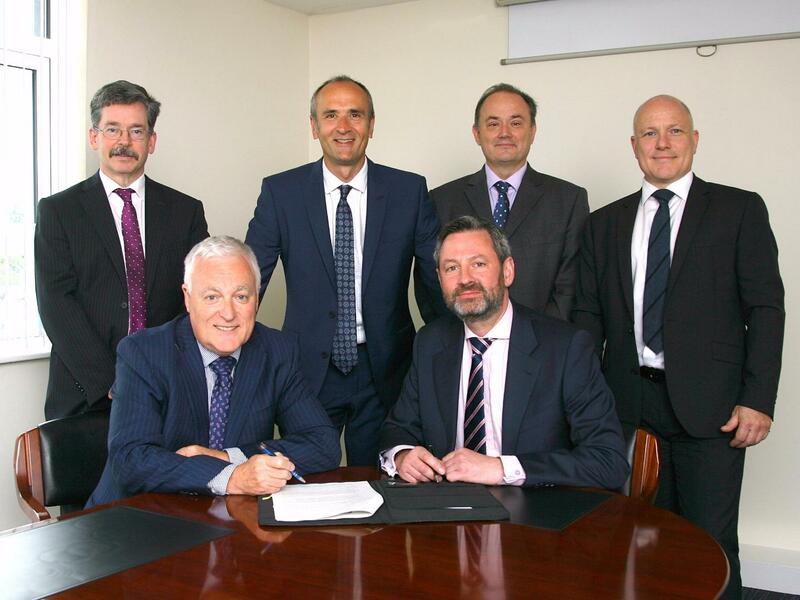 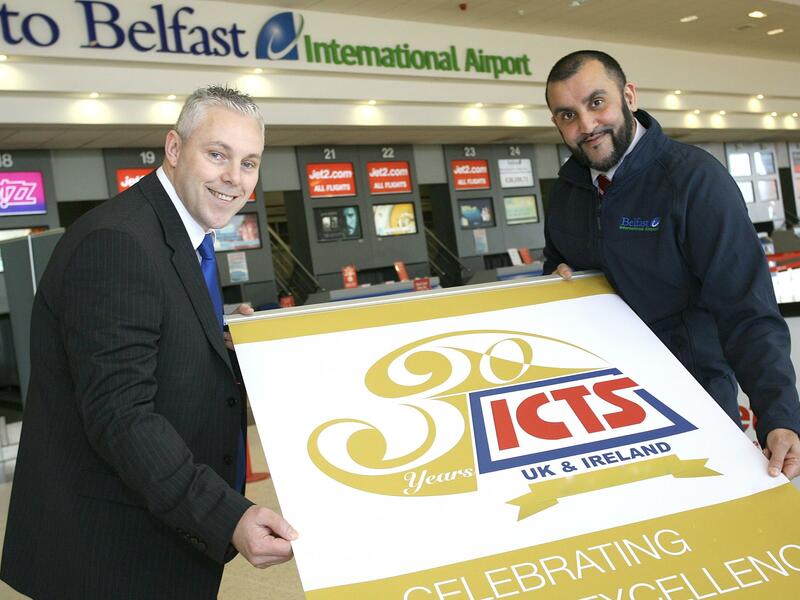 Airport security company, ICTS, is creating up to fifty new jobs at Belfast International Airport. 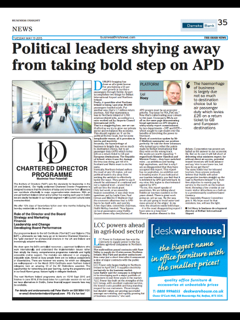 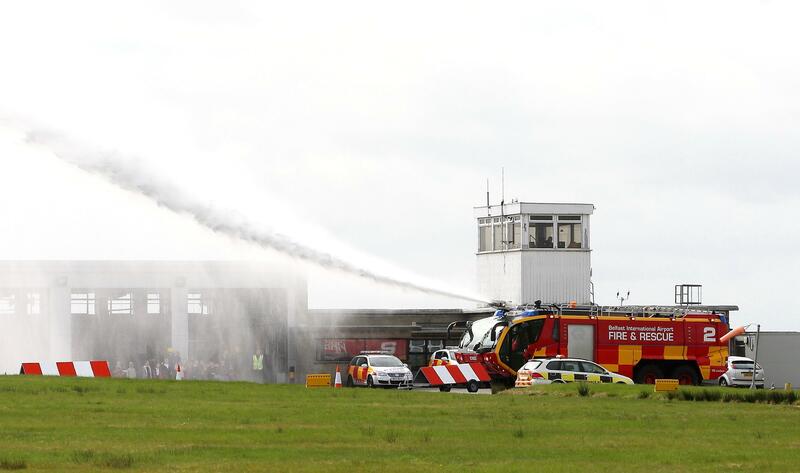 Belfast International Airport will set out ‘the strongest possible case’ for the removal of Air Passenger Duty (APD) in its formal submission to a Government consultation that was announced today. 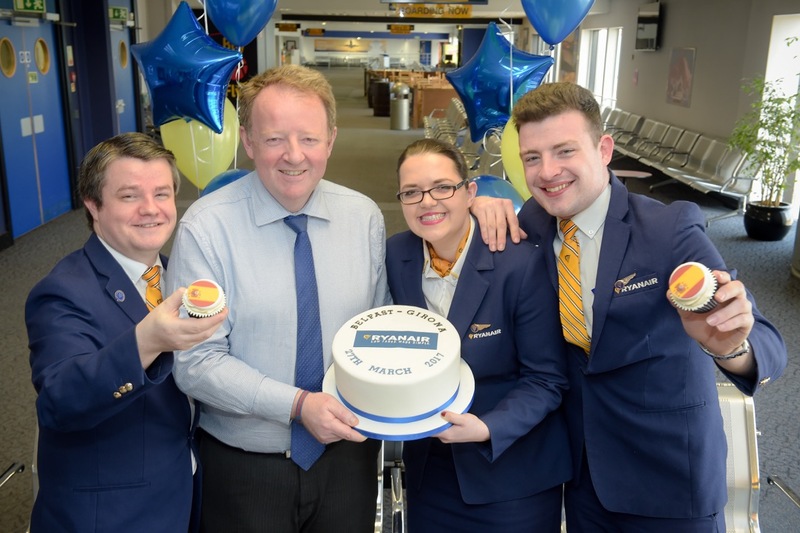 Belfast International Airport has welcomed the decision by Ryanair to add Manchester to its list of destinations served from Northern Ireland. 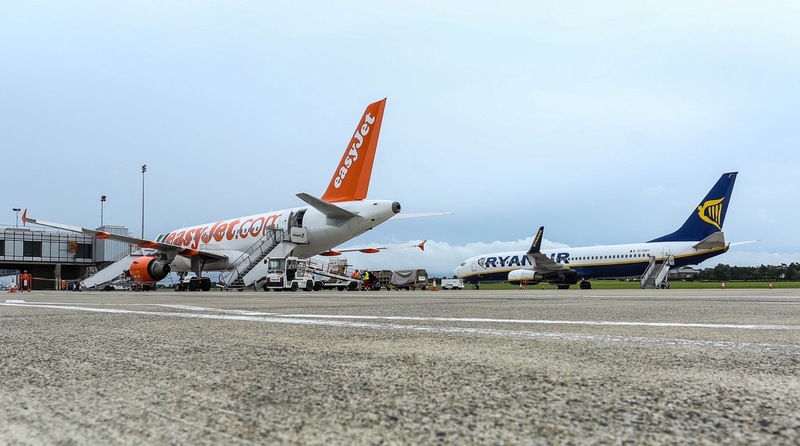 Strong customer demand has prompted Balkan Holidays to add 40% more seats to its schedule from Belfast International Airport to Bourgas in Bulgaria. 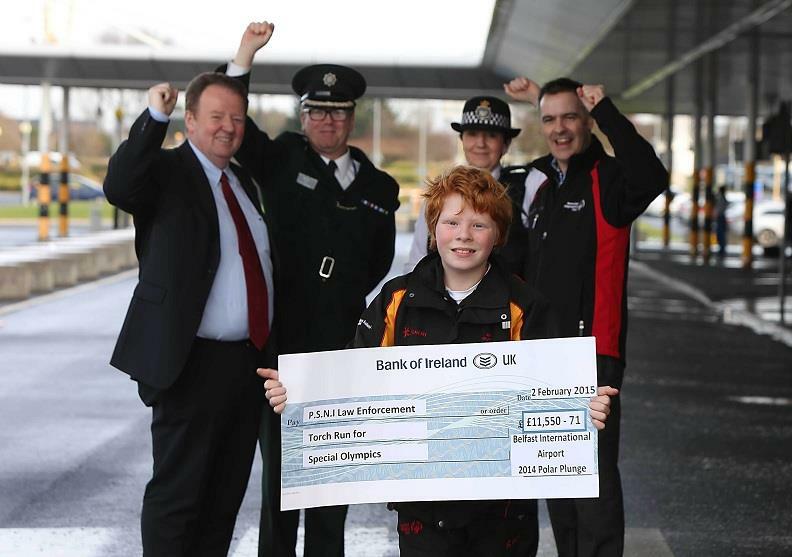 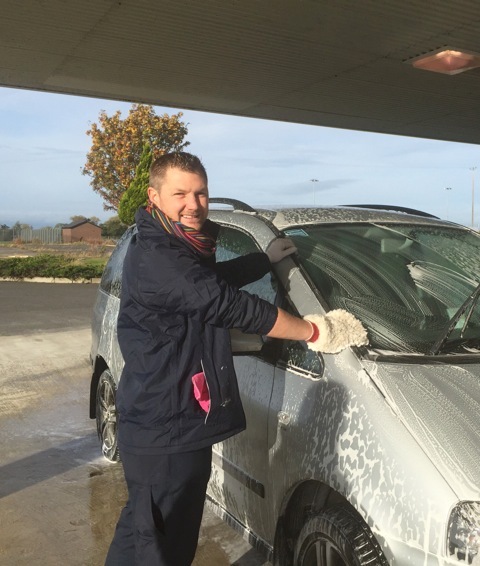 Belfast International Airport has been awarded the Park Mark Safer Car Parking Award. 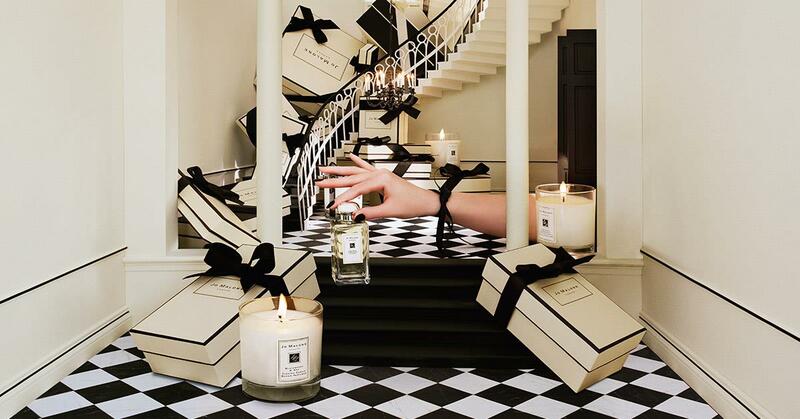 Jo Malone London announce the official opening of their new boutique in Aelia Duty Free at Belfast International Airport. 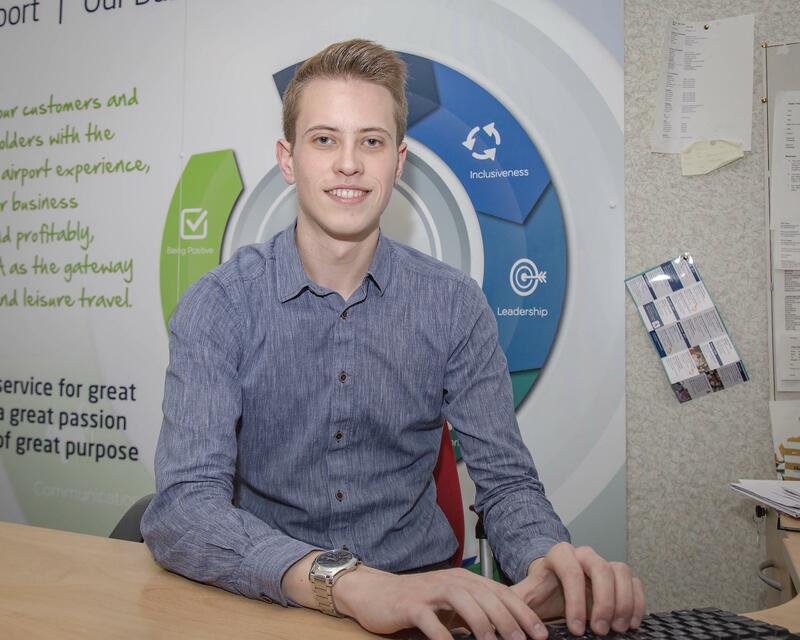 Each year, we offer student placements giving those who take part practical experience of the business and how it operates. 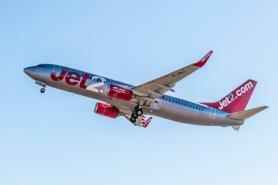 Jet2.com and Jet2holidays have announced their biggest ever winter season from Belfast International Airport, adding over 16,000 seats to its Winter 18/19 programme. 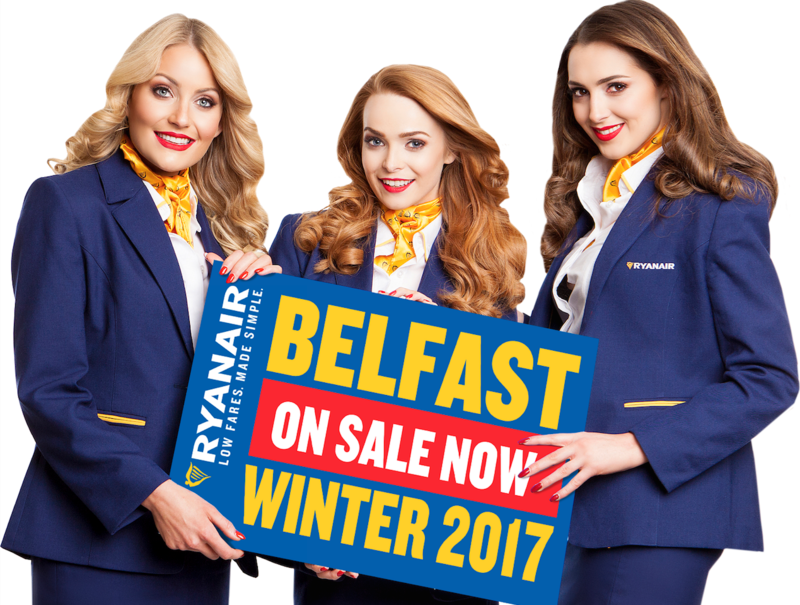 Representing a capacity increase of more than 17% on winter 17 from Belfast, over 110,000 seats are on sale from Belfast to 11 winter sun, city and ski destinations– including a brand new winter route to Madeira (Funchal). 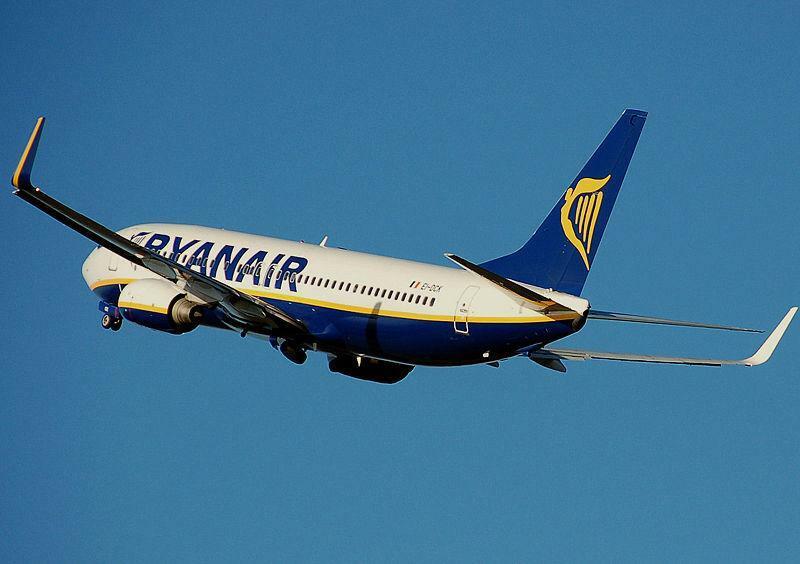 Ryanair, Europe’s No. 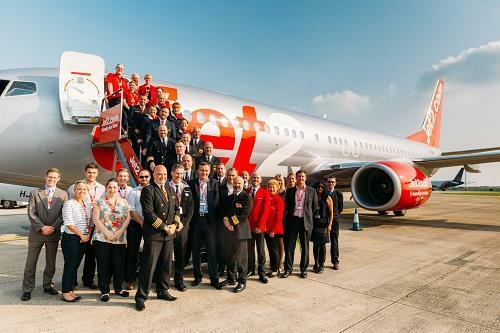 1 airline, today (8 Nov) launched its Belfast summer 2018 schedule, with 14 routes in total including a new twice-weekly route to Malta, while its suspended Belfast-London service will be reinstated one month early (from 1st March) and will operate to/from London Stansted. 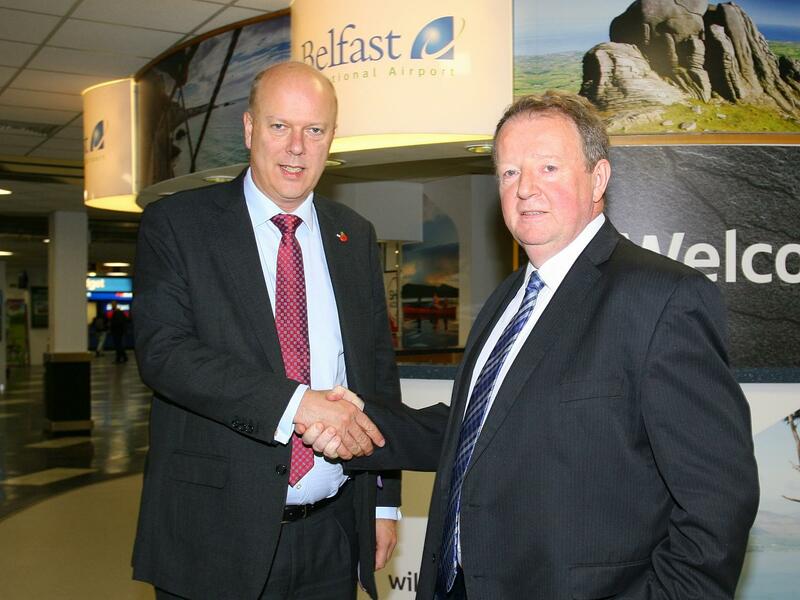 Brexit, Air Passenger Duty (APD) and assistance for new long-haul airlines were items on the agenda during a visit by the Transport Secretary, Chris Grayling MP, to Belfast International Airport today (Thurs., 2nd Nov.). 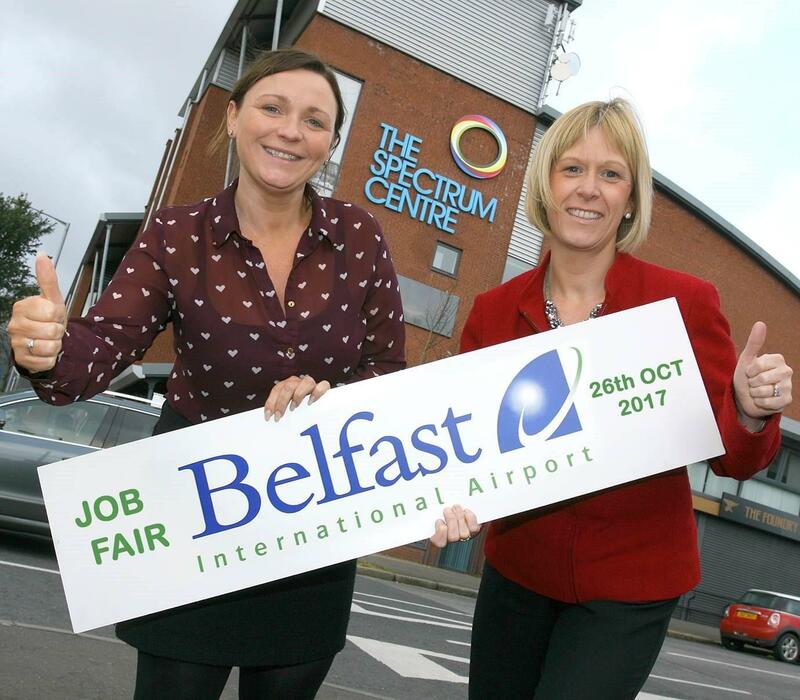 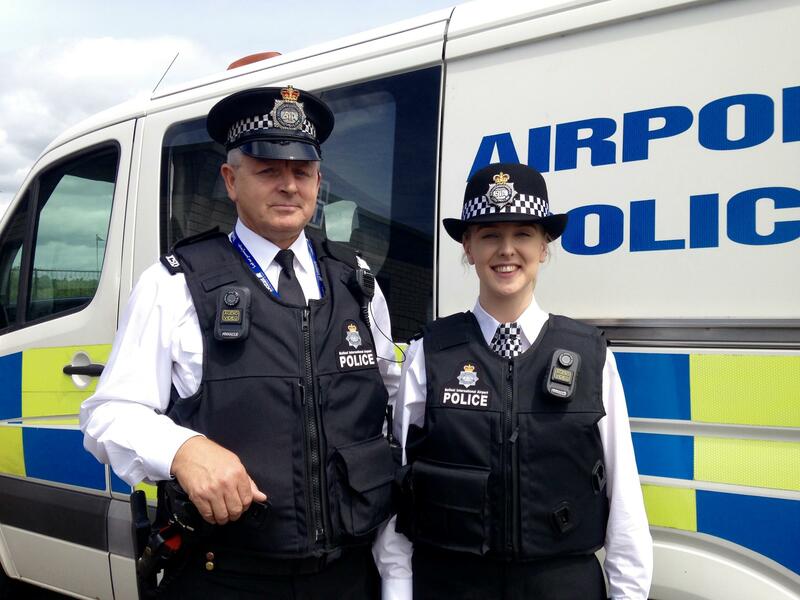 More than 100 jobs at Belfast International Airport will be on offer at the latest airport Job Fair, which takes place next Thursday (26th Oct), 4pm to 7pm, at The Spectrum Centre on Belfast’s Shankill Road. 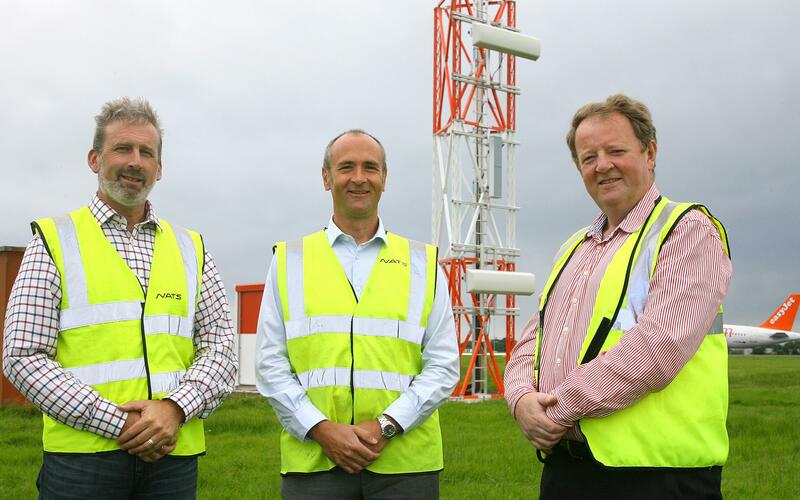 NATS successfully transitioned Belfast International and Belfast City airports from paper to electronic flight strips earlier this year following a 10-month programme using new Hub and Spoke system architecture. 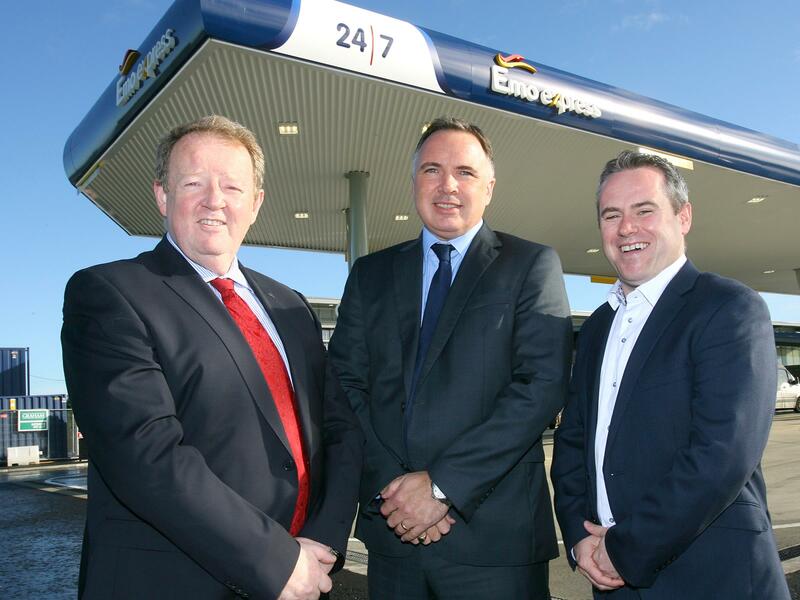 The first ever automated Emo Express fuel forecourt in Ireland will open for business on Wednesday, September 27th at Belfast International Airport. 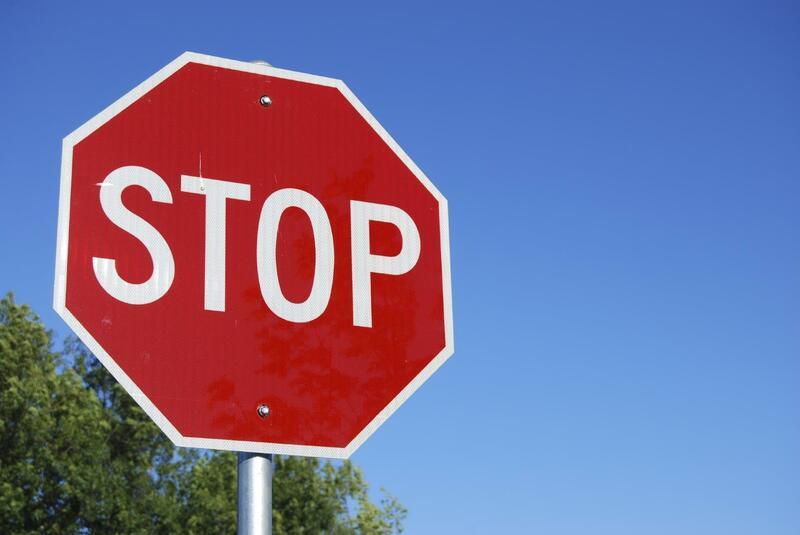 Drivers pre-select the amount of fuel they want to buy, pay with their credit, debit or fuel card and then fill up without stepping away from their vehicles. 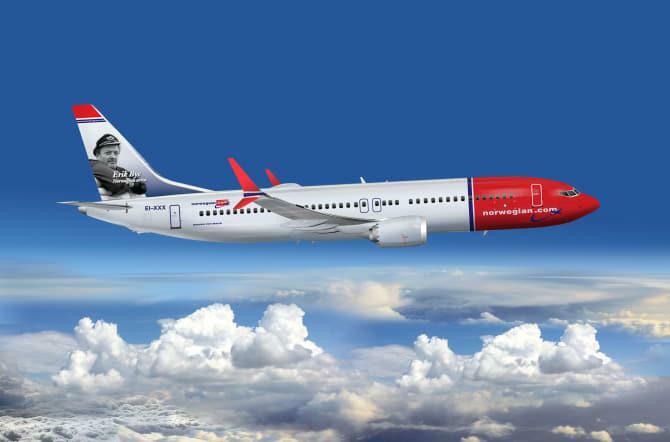 The World Routes Marketing Awards, one of the most eagerly anticipated events in the aviation industry, will take place this weekend (23-25 Sept) in Barcelona. 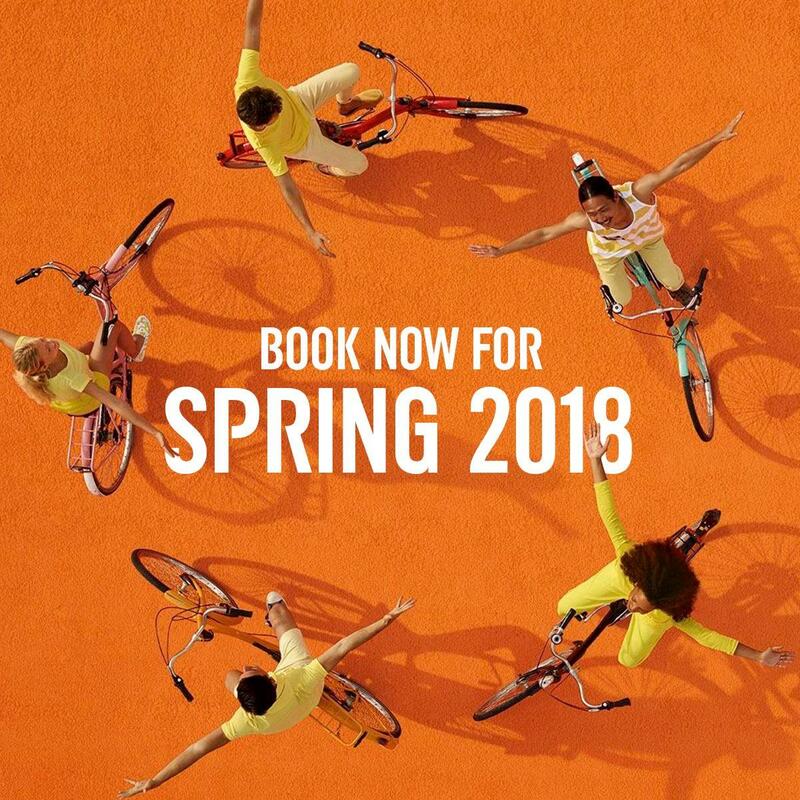 easyJet, Europe’s leading airline, has put its flights for spring and early summer 2018 on sale this morning meaning that thousands of flights from Belfast are now on sale up until 24th June 2018.
easyJet, Europe's leading airline, has today launched ‘Worldwide by easyJet’ - the first global airline connections service by a European low fares airline. 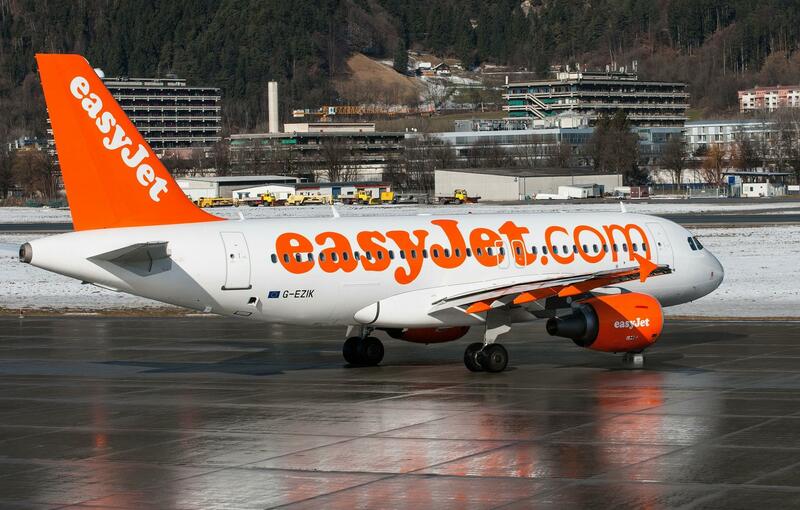 easyJet's new booking platform will make it easy to book connecting long haul flights to North and South America and the Far East via London Gatwick- all in one single booking process. 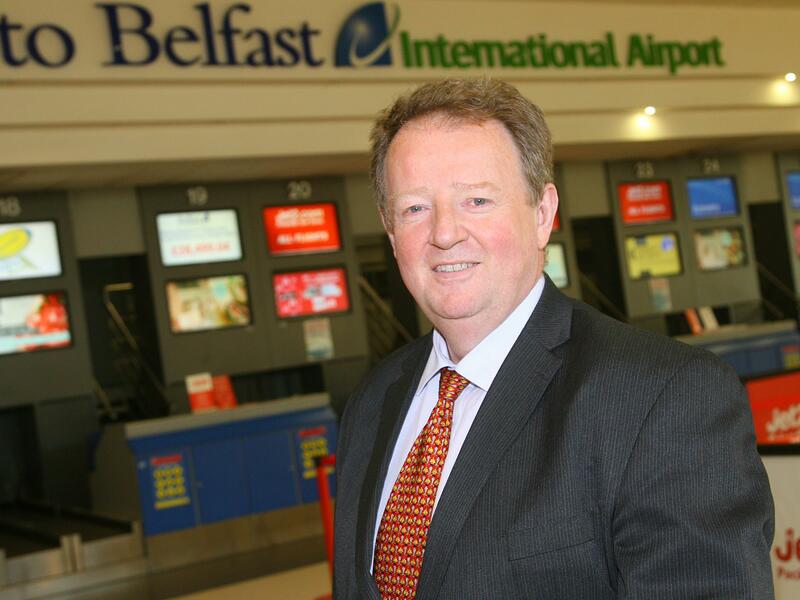 Belfast International Airport is reporting an almost six-fold increase in operating profit on a turnover that has jumped by almost 12%. 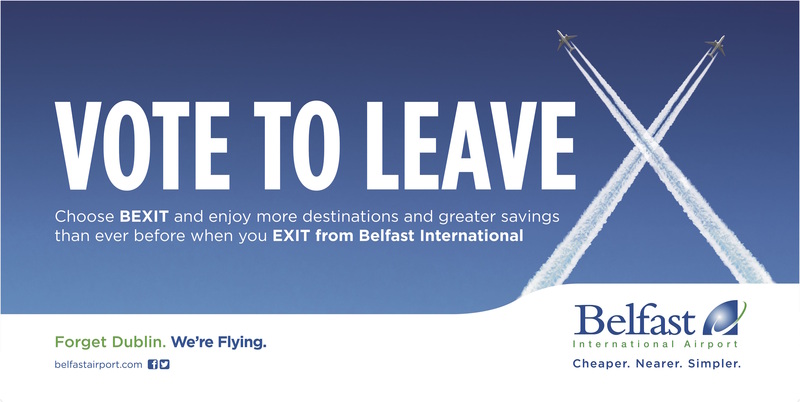 Belfast International Airport is embarking on Phase Two of a major advertising campaign aimed at attracting more passengers from the Republic of Ireland. 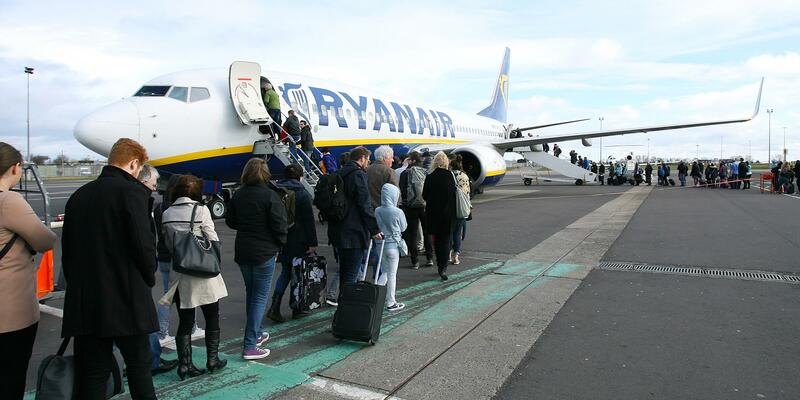 Ryanair, Europe’s No 1 airline, today (6 Sep), as part of its “Always Getting Better” programme announced new reduced checked bag fees (and increased check-in bag sizes) to encourage more customers to check in bags and reduce the number of customers with 2 bags at the boarding gates. 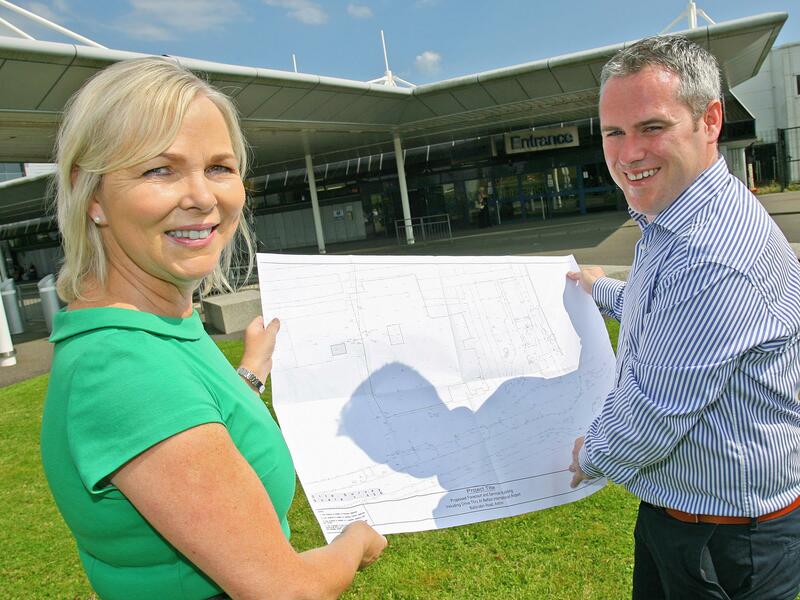 SSP, a leading operator of food and beverage outlets in travel locations worldwide, is embarking on a £2.5 million expansion at Belfast International Airport which will lead to up to seventy new full and part-time jobs. 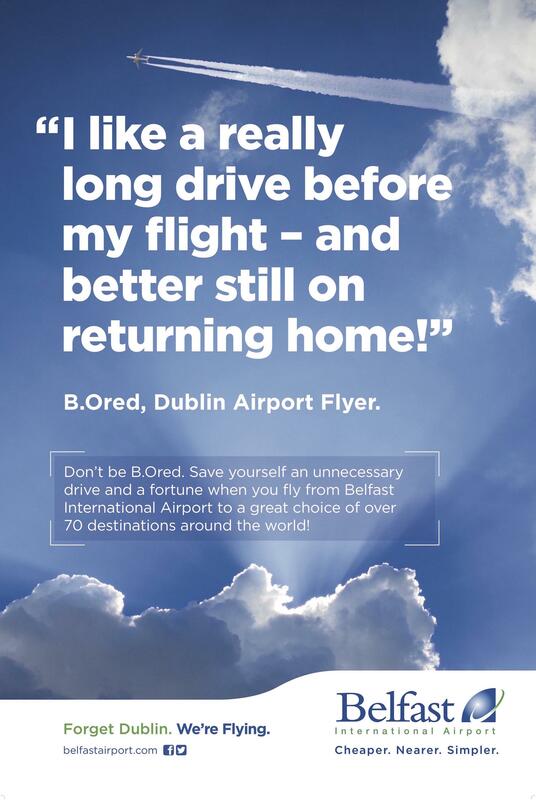 Belfast International Airport is embarking on a major advertising campaign in the six border counties in the Republic of Ireland to persuade passengers to opt for the Northern ‘gateway’ over Dublin. 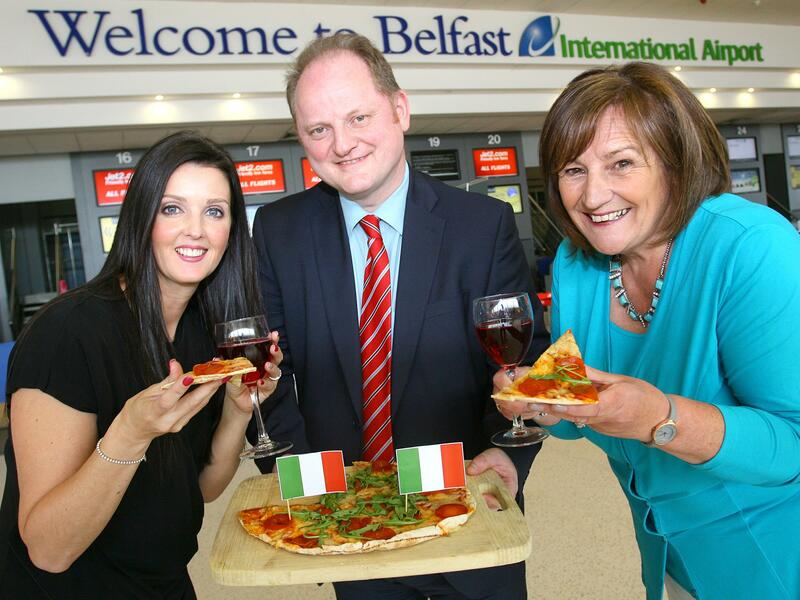 Belfast International Airport is reporting a 25.2% rise in passenger growth in the first four months of the year. 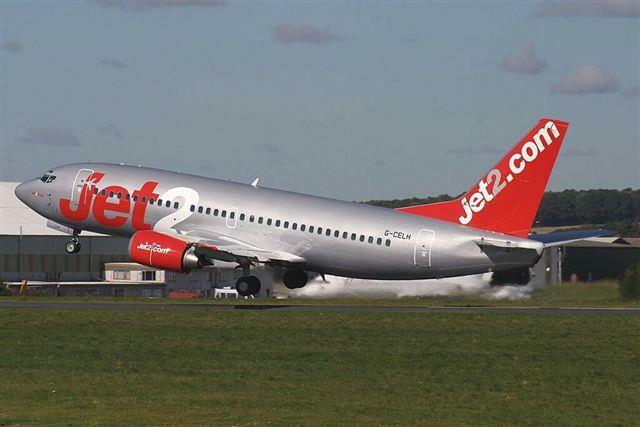 Belfast International Airport says that Northern Ireland is losing over a 1,000,000 additional airline seats with the potential of creating over 750 new jobs because of the failure by the Chancellor to cut the rate of Air Passenger Duty (APD) in his Budget. 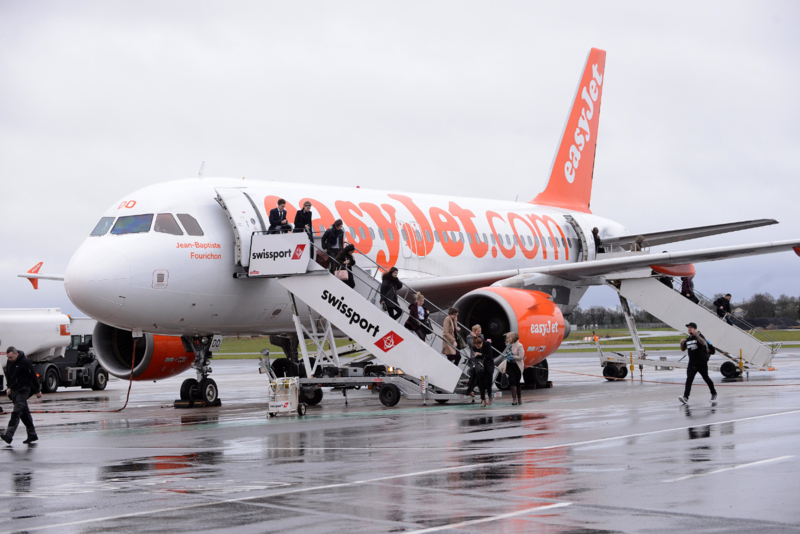 Belfast International Airport’s Gatwick service is now the UK’s busiest domestic air route, according to figures released by the CAA. 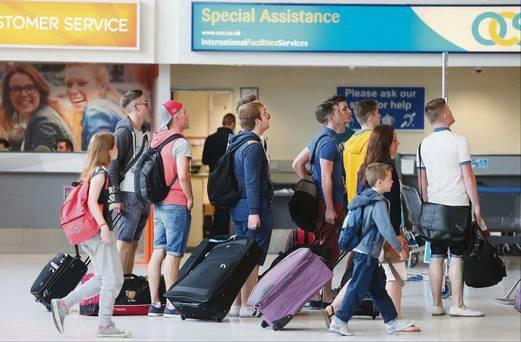 Belfast International Airport says passenger figures for the first month of 2017 increased by 34% over the same month last year. 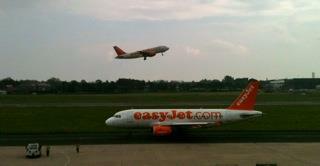 easyJet, Europe’s leading airline, has today (24th January) put flights on sale from Belfast to Birmingham. 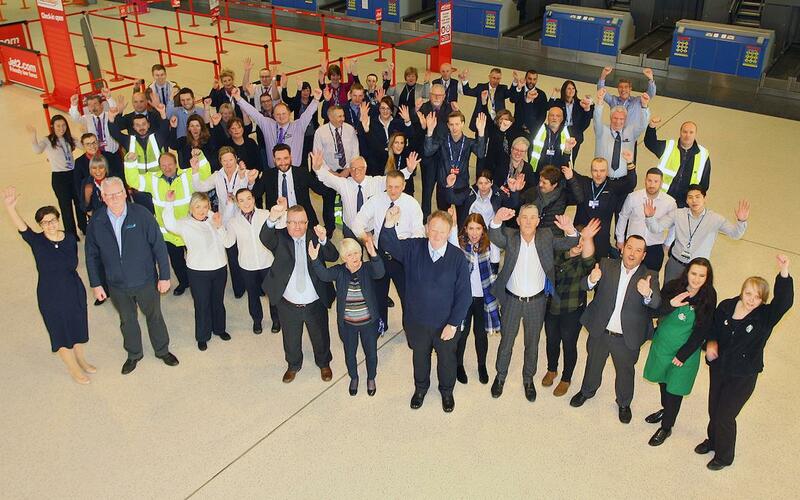 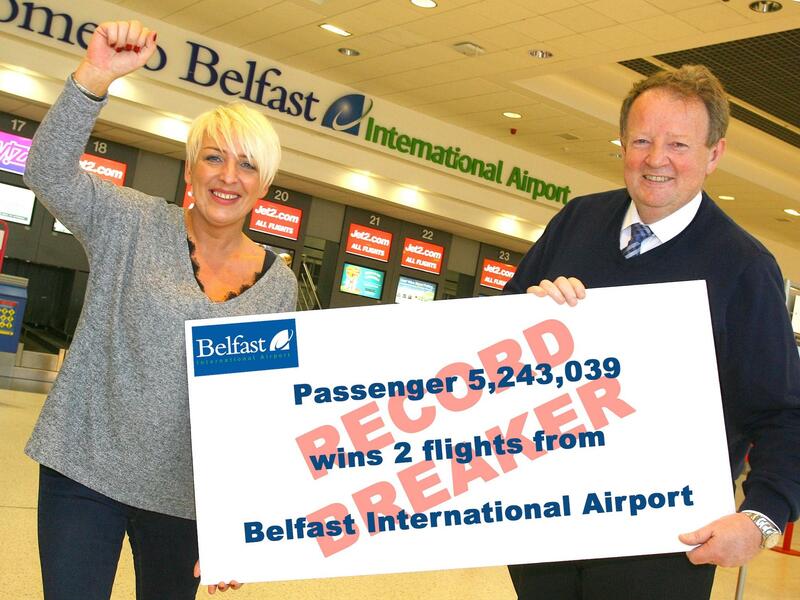 Belfast International Airport finished the year by achieving a passenger growth rate of 17.2%. 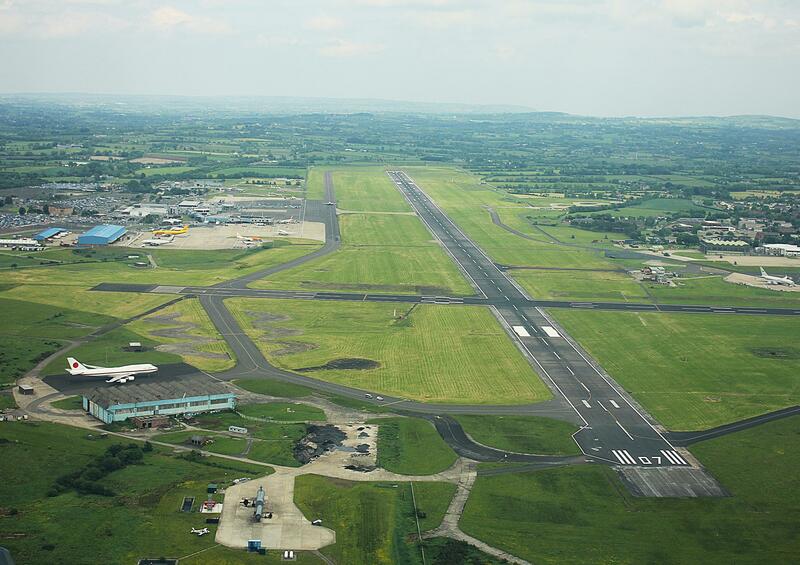 Belfast International Airport says it will place the removal of Air Passenger Duty (APD) and the need to invest in approach roads to the expanding airport at the heart of its Submission to the Draft Programme for Government (PfG). 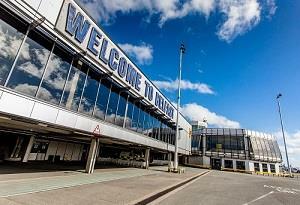 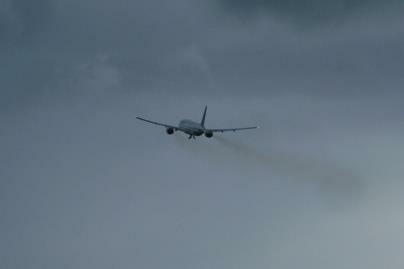 Belfast International Airport has had its busiest September ever with record numbers of passengers using the facility. 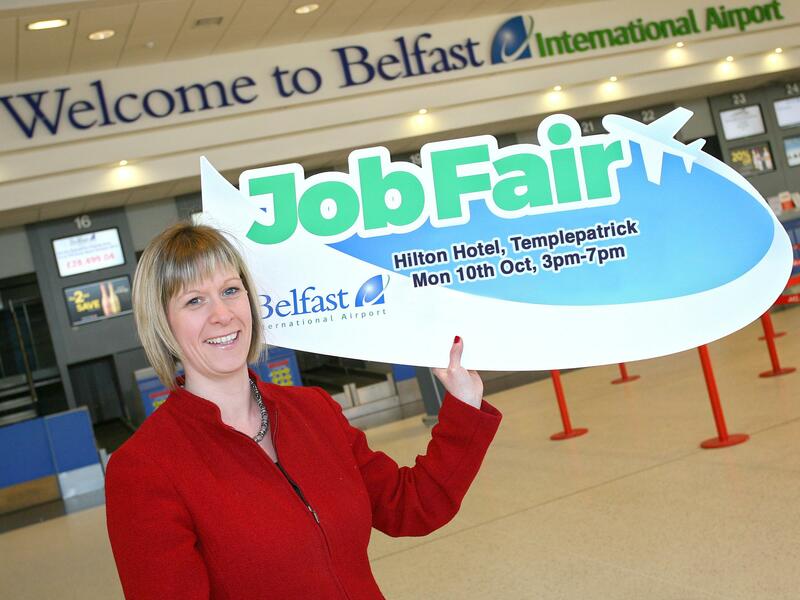 Belfast International Airport is to hold a second Job Fair on Monday, 10th Oct, with up to 100 new jobs being created across a range of airport businesses. 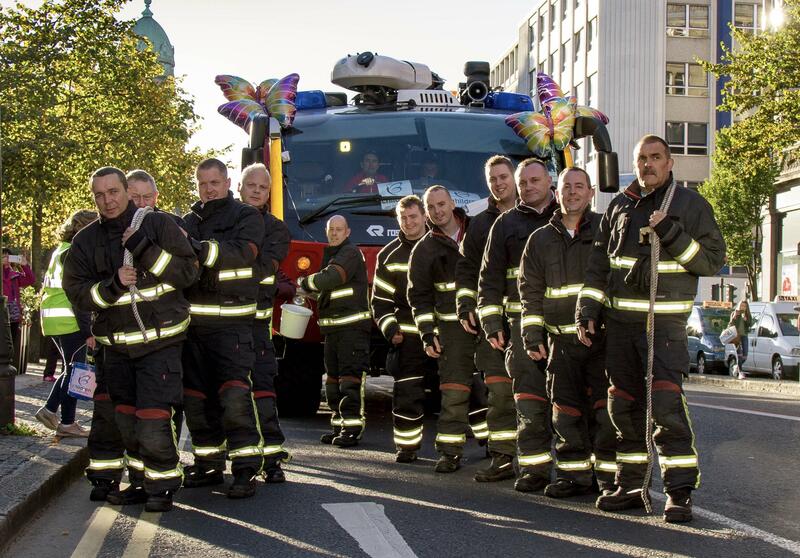 A Rosenbauer Panther 6x6 Airport Fire Appliance attracted quite a bit of interest on Saturday when it was parked at Belfast City Hall, just before 16 firefighters from Belfast International Airport pulled the 30-tonne vehicle across the front of the City Hall. 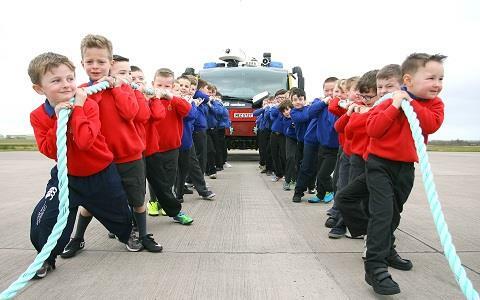 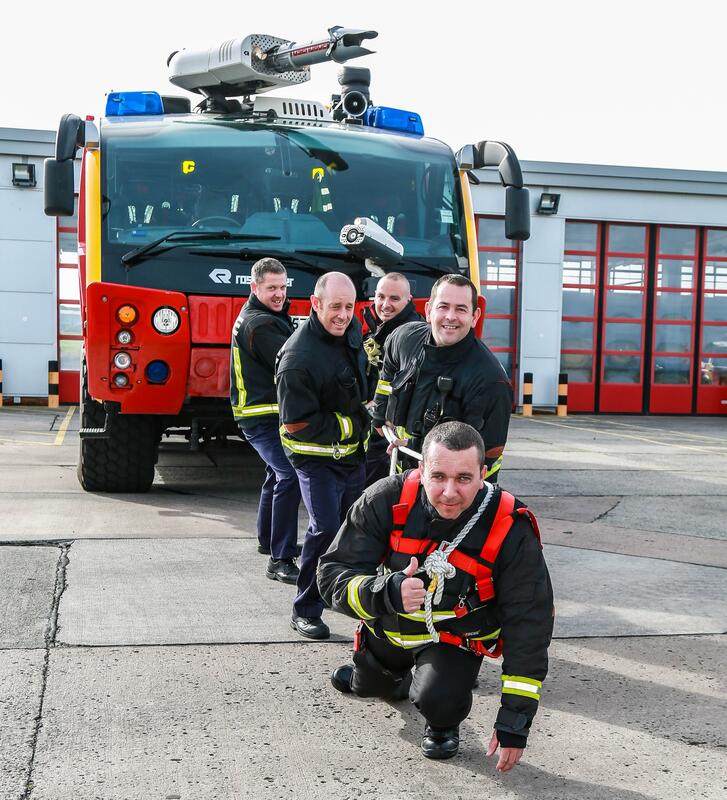 Firefighters at Belfast International Airport will have their pulling power tested to the limit on Saturday, 1 October, at 4pm when they turn up at Belfast City Hall with one of their 30-tonne Rosenbauer Panther 6x6 Airport Fire Appliance. 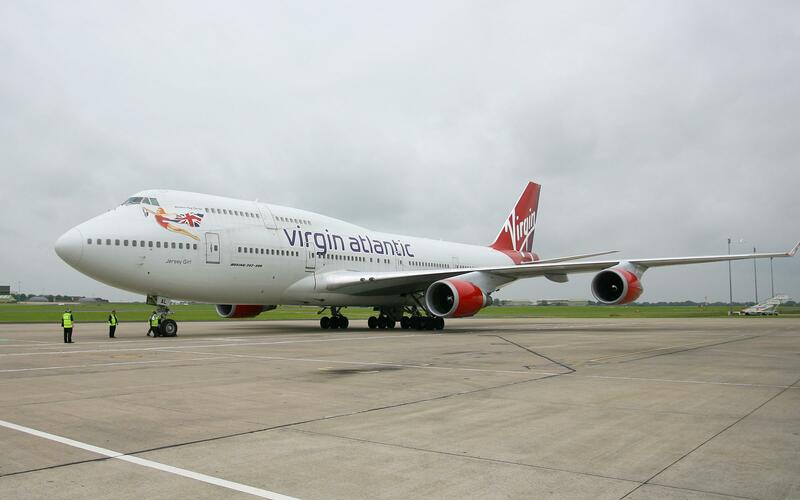 In normal circumstances, the vehicle is powered by a 14 litre engine capable of 2 miles to the gallon. 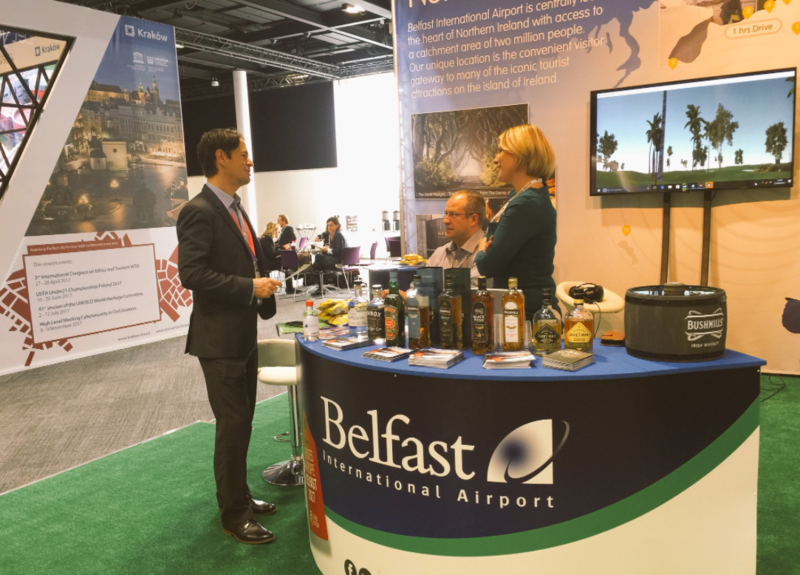 A further jobs boost is being predicted at Belfast International Airport after the airport reported its best ever month for passenger growth. 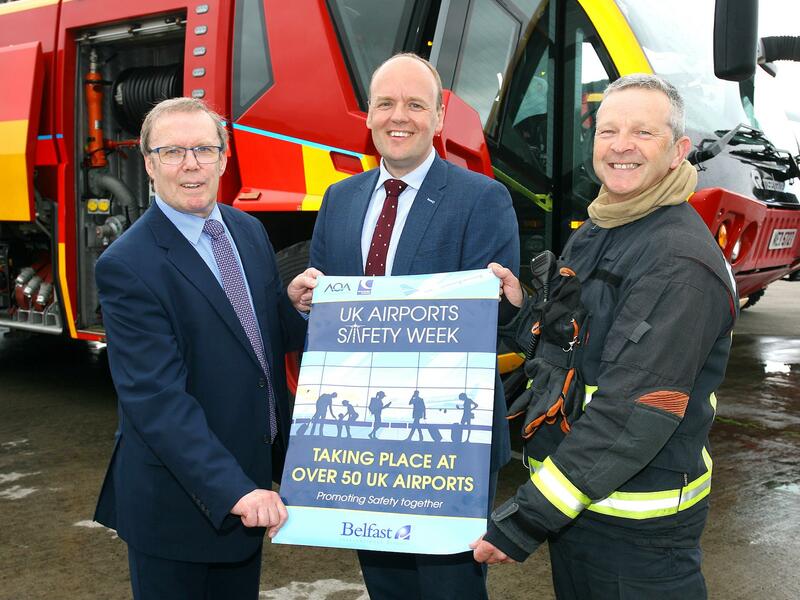 Belfast International Airport has earned a place in the top ten of thirty of the UK’s busiest airports for the quality of assistance it offers to passengers with a disability or reduced mobility. 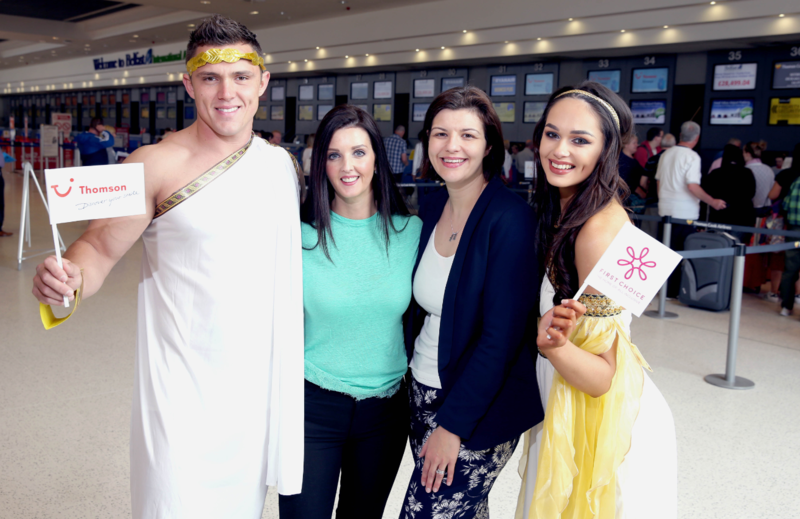 As part of Regional Jet Set Sail programme Oasis Travel is offering new charter flight from Belfast International Airport in partnership with modern luxury cruise line, Celebrity Cruises. 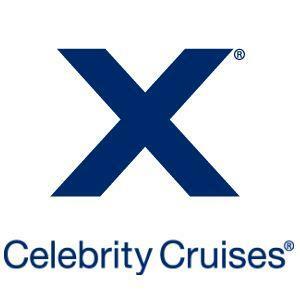 The new flight will deliver holidaymakers directly to destinations throughout Europe in summer 2017 to join Mediterranean cruises as part of Celebrity Cruises’ Regional Jet Set Sail programme. 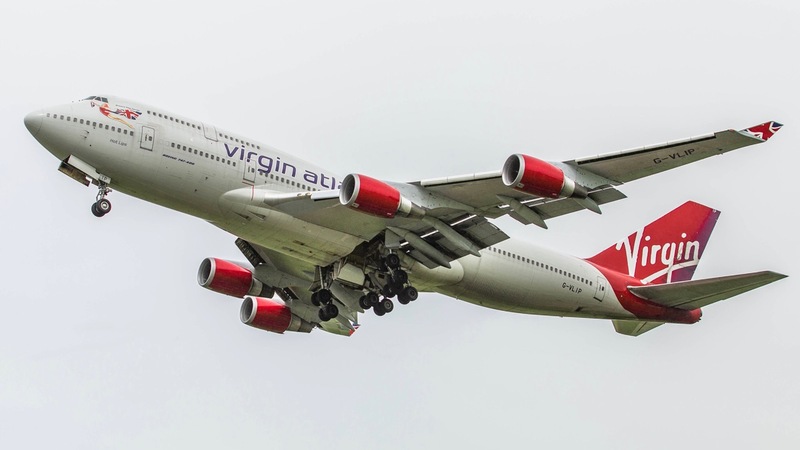 Belfast International Airport says the decision by Virgin Atlantic to double the number of flights from Northern Ireland to Orlando in June and July next year is a real vote of confidence in the local market. 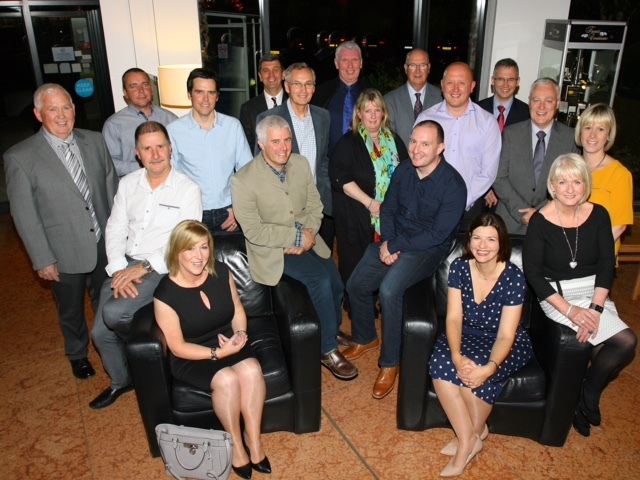 Belfast International Airport has warmly welcomed support for an early review of Air Passenger Duty (APD) from the new Finance Minister, Mairtin O’Muilleoir. 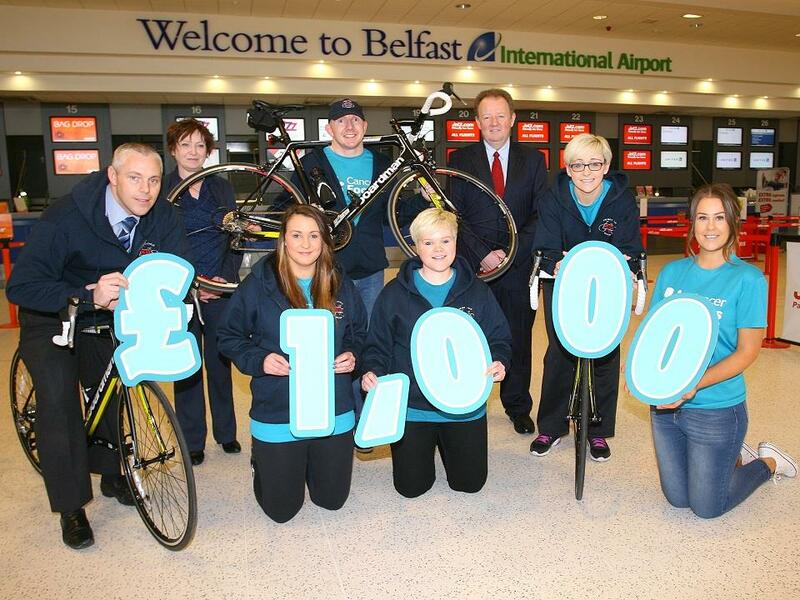 FUERTEVENTURA ADVENTURE BEGINS FROM BELFAST!!! 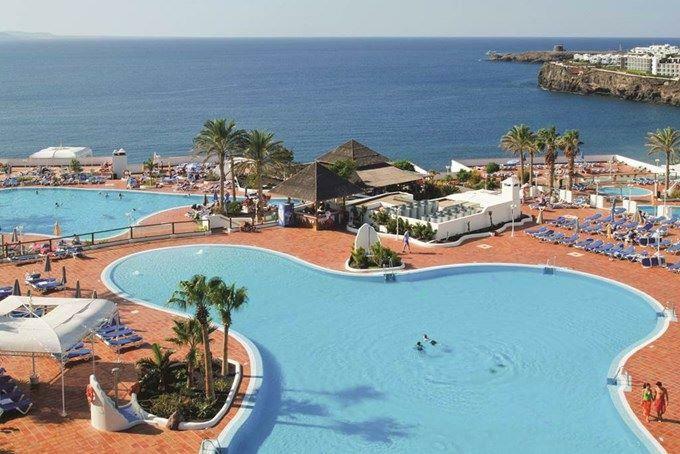 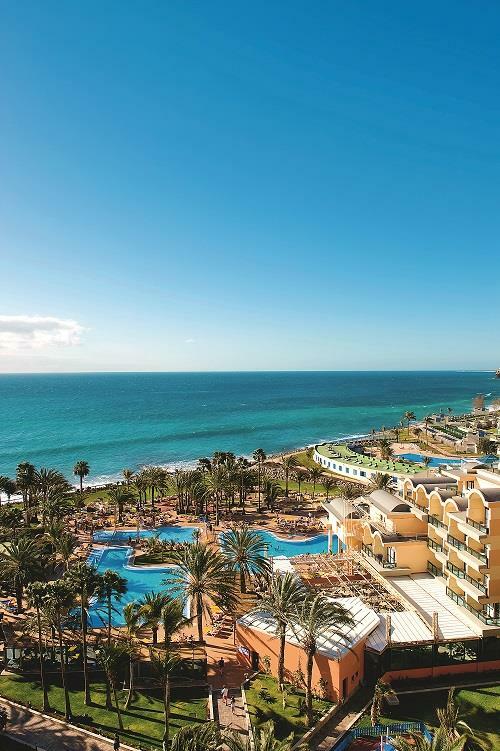 - Jet2.com and Jet2holidays expand 16/17 programme - MORE FLIGHTS to top Portuguese and Spanish hotspots - Year round flying to Alicante plus February half term flights to The Algarve Jet2.com and Jet2holidays are giving local customers even more opportunities to escape for some winter sun with the expansion of its 2016/17 flights and holidays programme from Belfast International Airport. 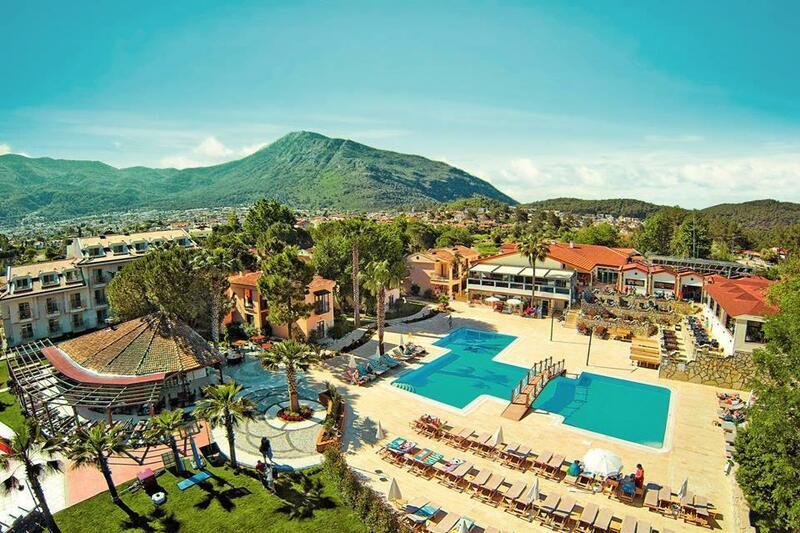 Bella Italia! 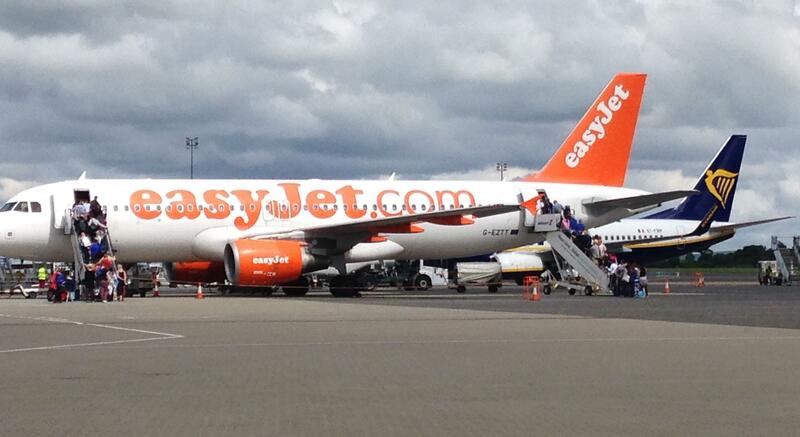 Verona set for take off! 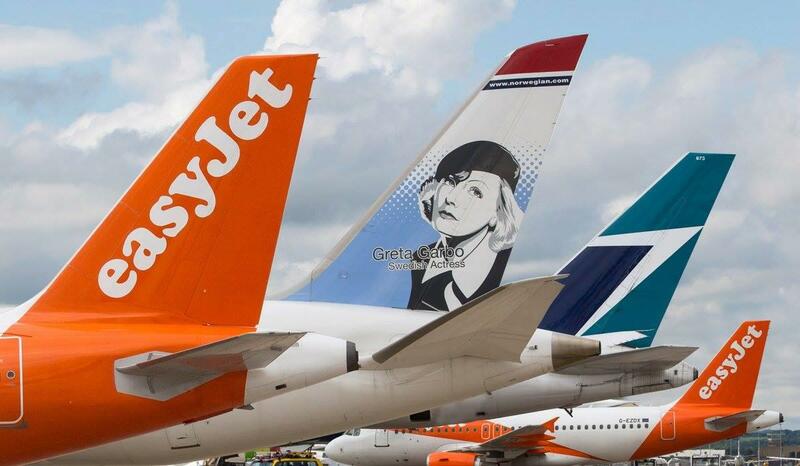 Bella Italia! 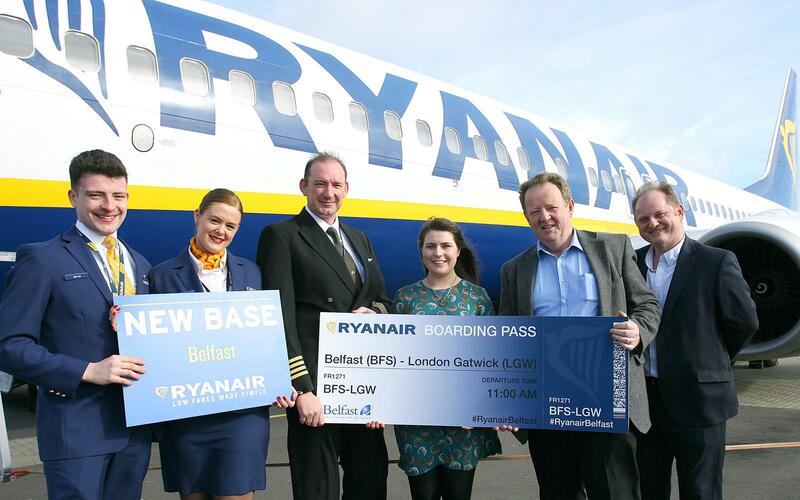 Verona is the latest route to appear on the destination screens at Belfast International Airport. 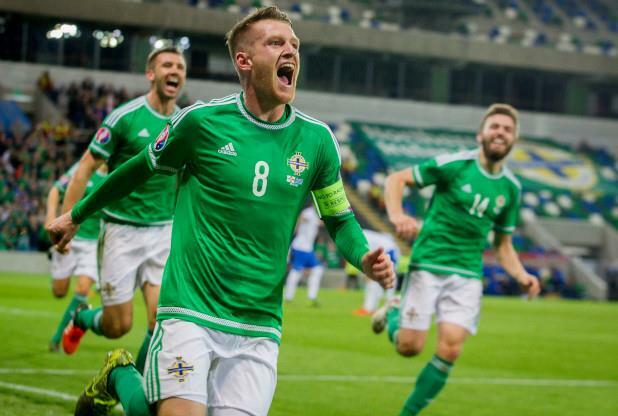 The Green and White Army is on the march….and they’re heading our way to get to Euro 2016 in France next month. 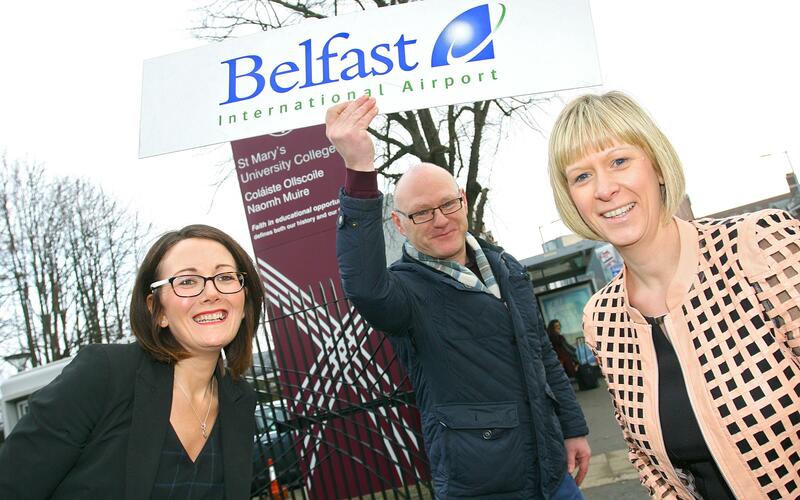 Welcome boost in passenger figures as Belfast International Airport continues to record strong levels of growth after more than 370,000 passengers travelled through its doors during the month of March, representing an increase of 12% on the same period last year and an increase of 16% since January 2016. 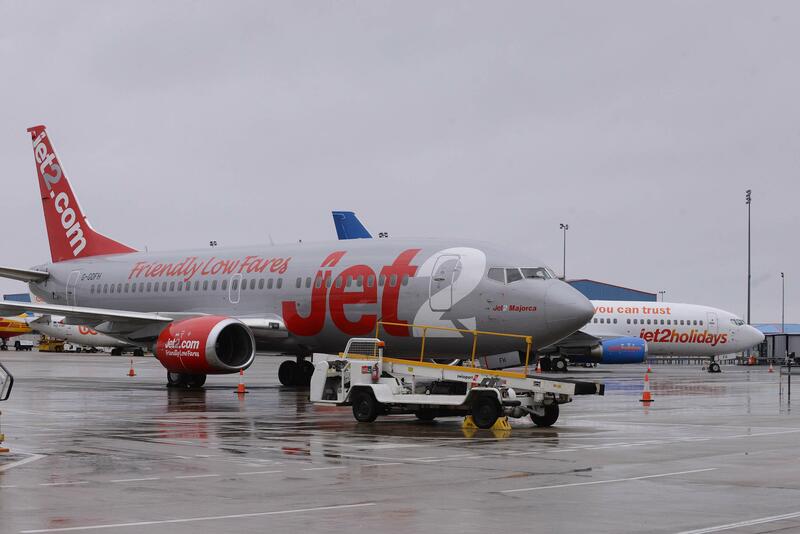 Local travellers can now fly direct to exotic Barbados which has been added to the growing list of long haul destinations available from Belfast International Airport. 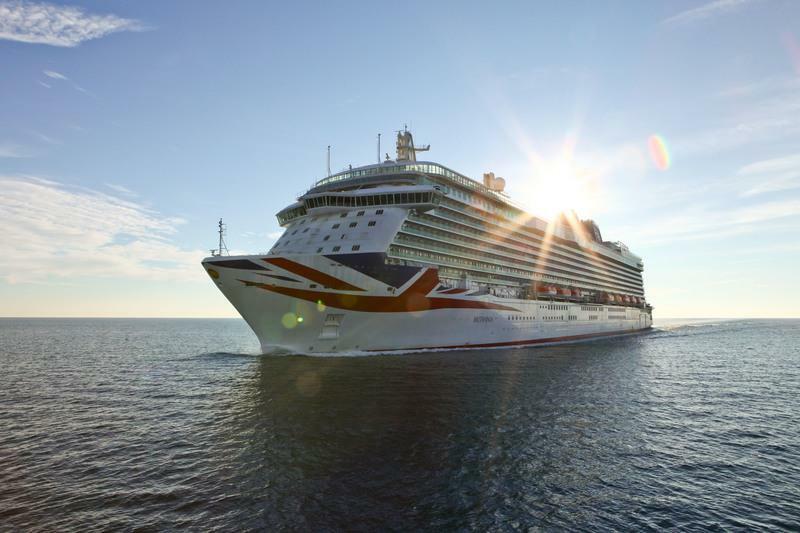 P&O Cruises have announced a 14 night Fly cruise to Barbados on 3rd February 2018 on board the beautiful new ship Britannia. 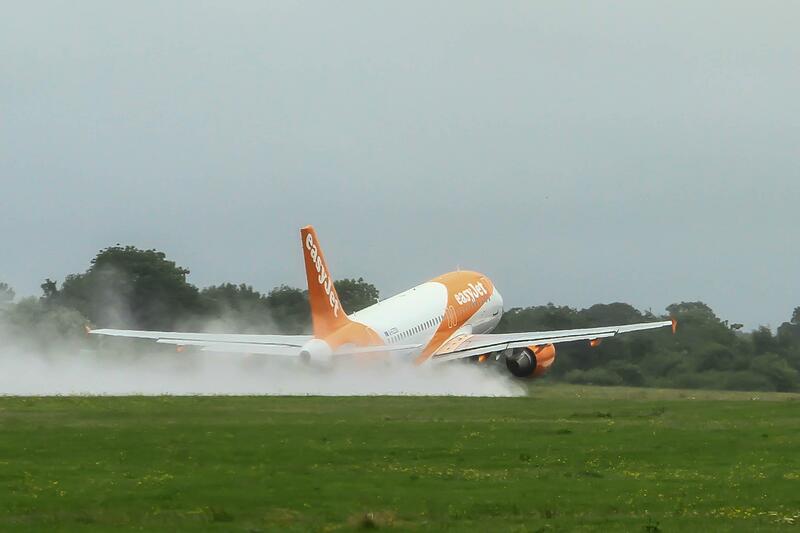 Belfast International Airport is gearing up for its most successful ever season with easyJet adding a further 250,000 seats to its summer 2016 schedule. 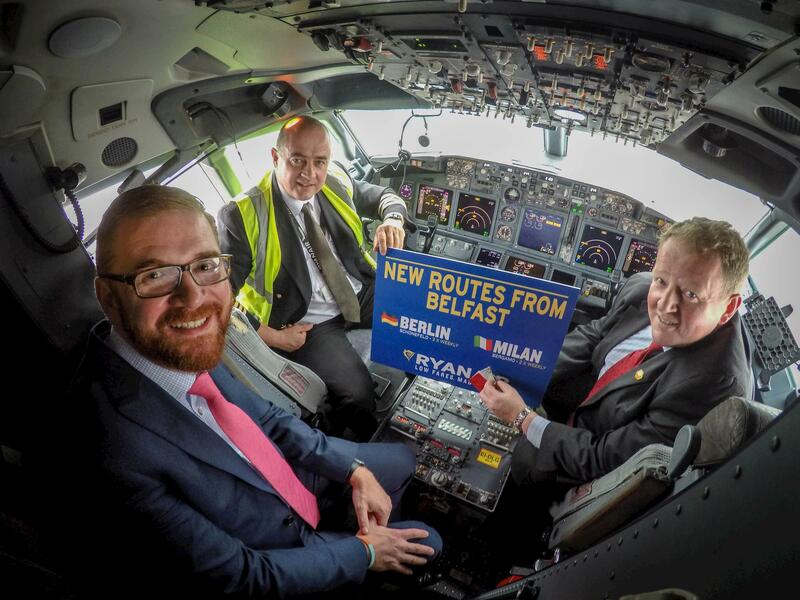 Belfast International Airport has said that Ryanair’s new network unveiled today will have a hugely positive impact on Northern Ireland tourism and jobs. 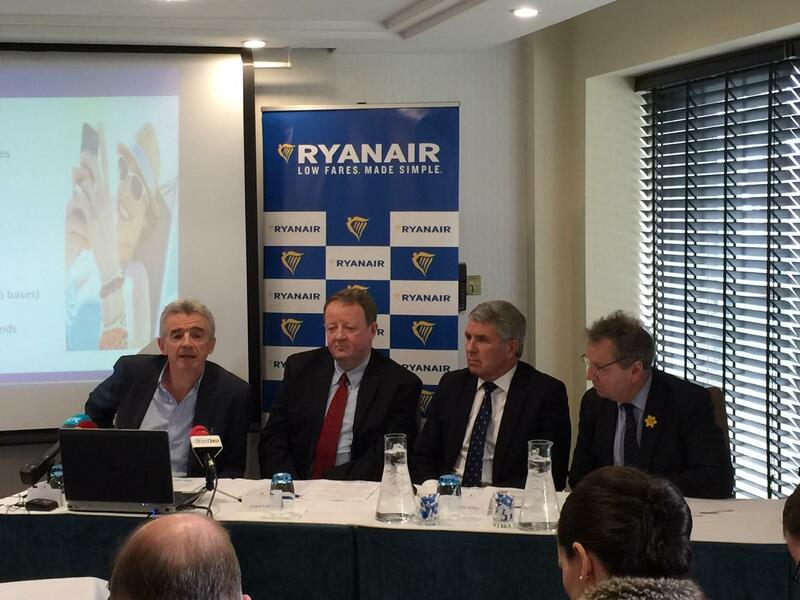 Ryanair’s new Northern Ireland’s base is in the final stages of preparation at Belfast International Airport. 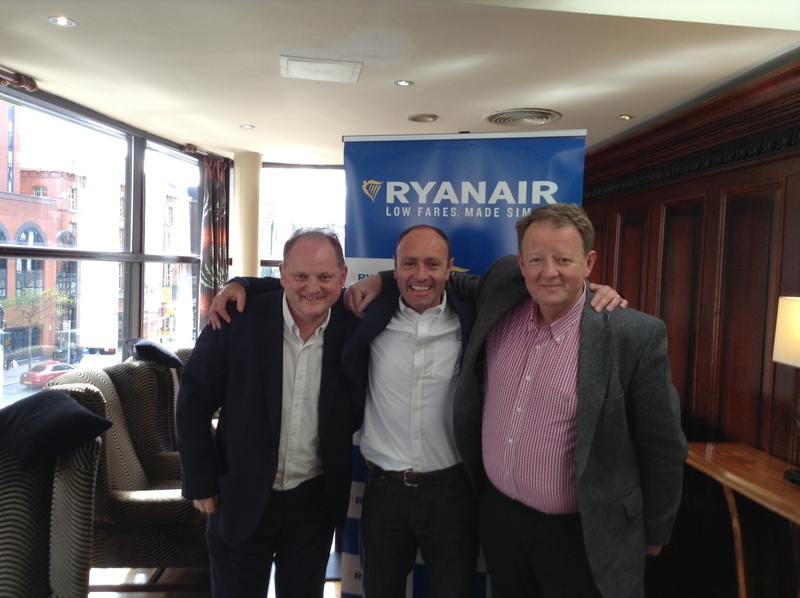 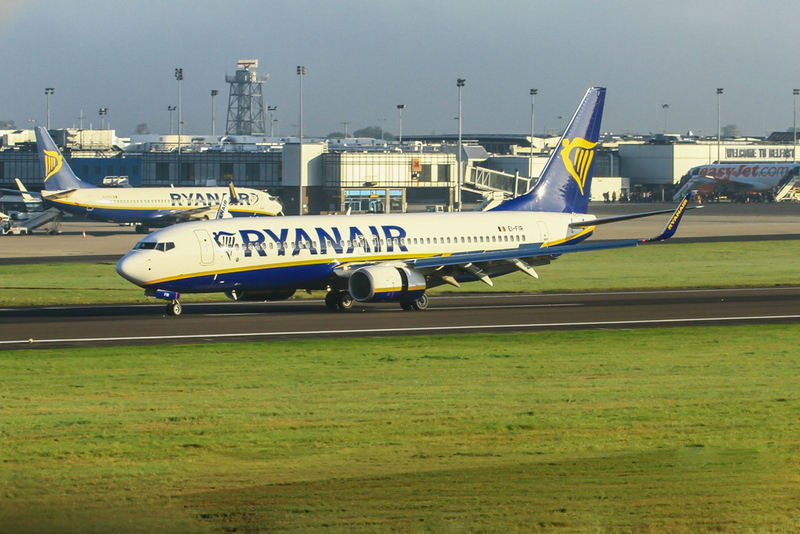 News that Ryanair intends to increase its frequency from four to five daily on its new Belfast International-Gatwick service is a positive development. 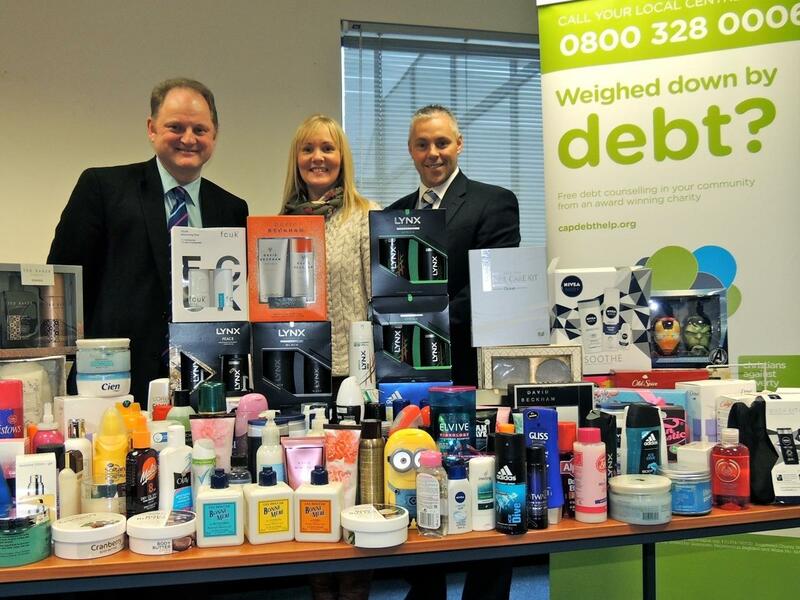 Thousands of discarded toiletries – shampoos, creams, deodorants, pastes and gels – left behind by passengers at Belfast International Airport are being collected and handed over to the charity, Christians Against Poverty, for distribution to people in need. 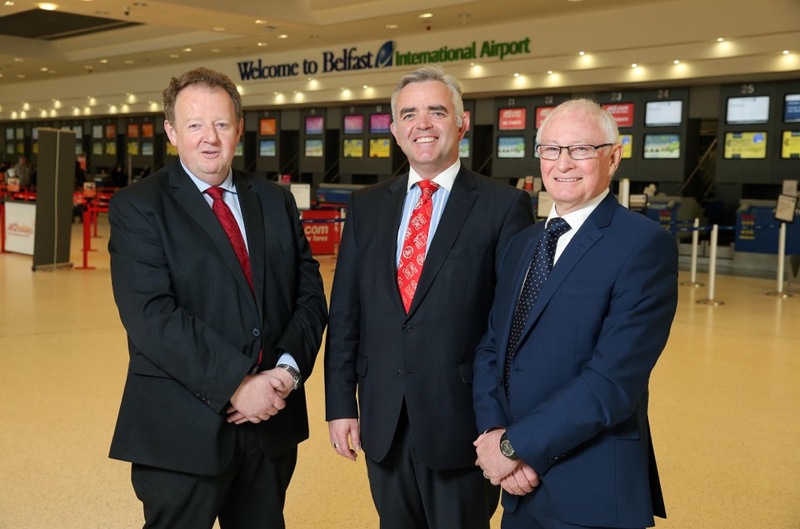 A surge of almost 20% in passenger numbers in January at Belfast International Airport has been described as ‘the ideal start to a most promising year’ by the airport’s Managing Director, Graham Keddie. 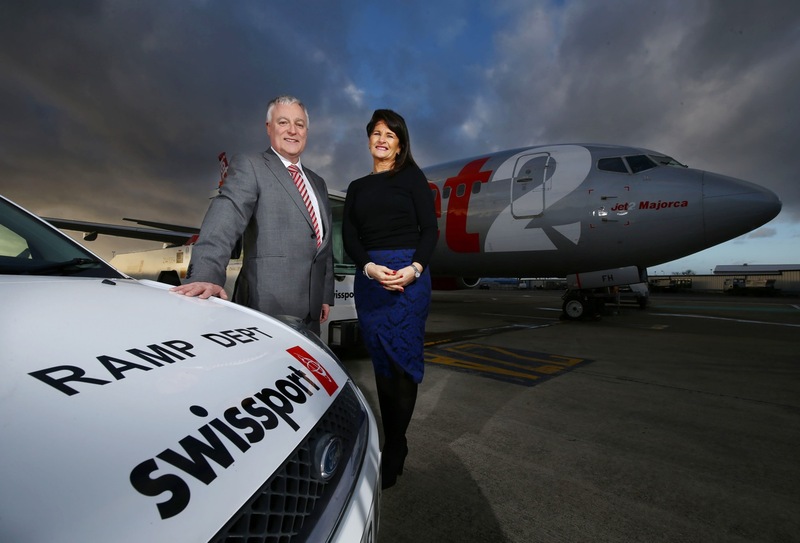 A further 85 full-time and 30 part-time jobs are being created by six businesses operating at Belfast International Airport. 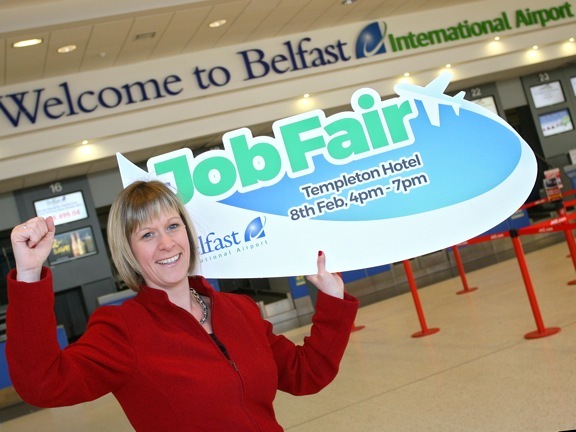 A three-hour Jobs Fair to set out the range of job opportunities now available at Belfast International Airport will take place next Monday. 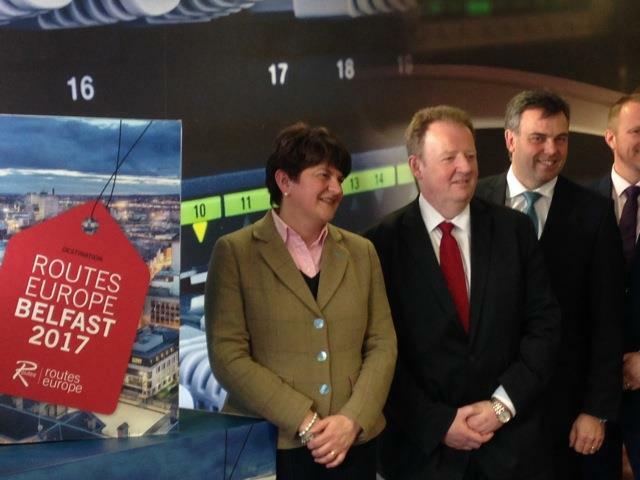 Belfast International Airport says the 750 new jobs that will be created as a result of Ryanair’s decision to open a new base here is the best possible start to 2016 for Northern Ireland. 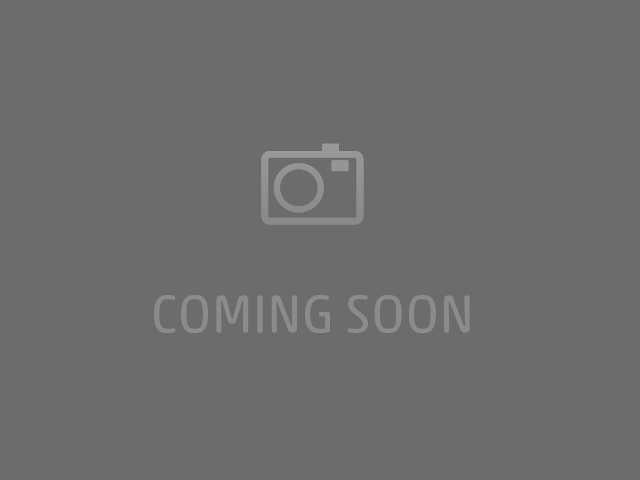 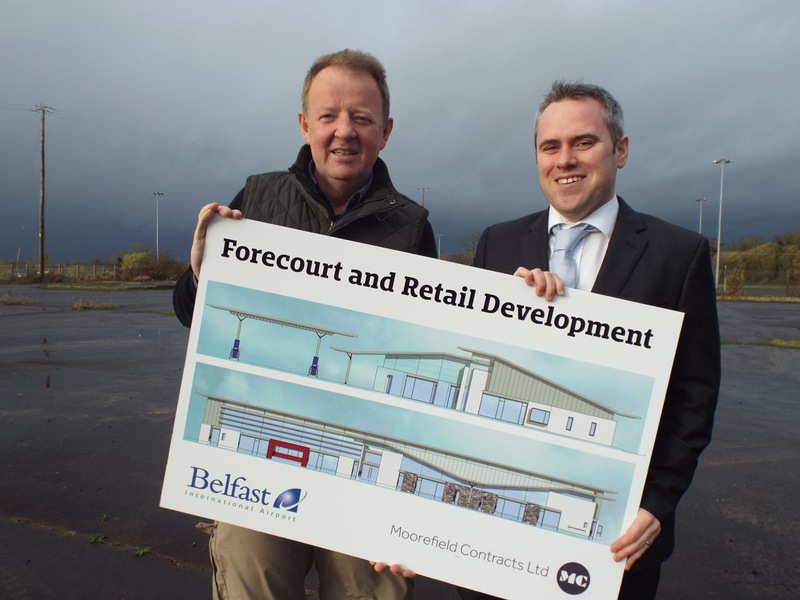 A planning application has been submitted for a £2.5 million forecourt and retail development adjacent to Belfast International Airport. 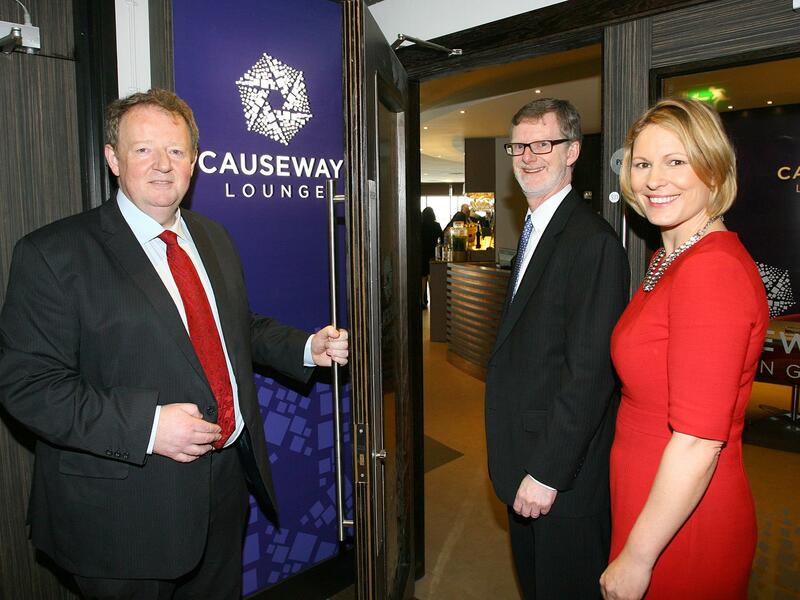 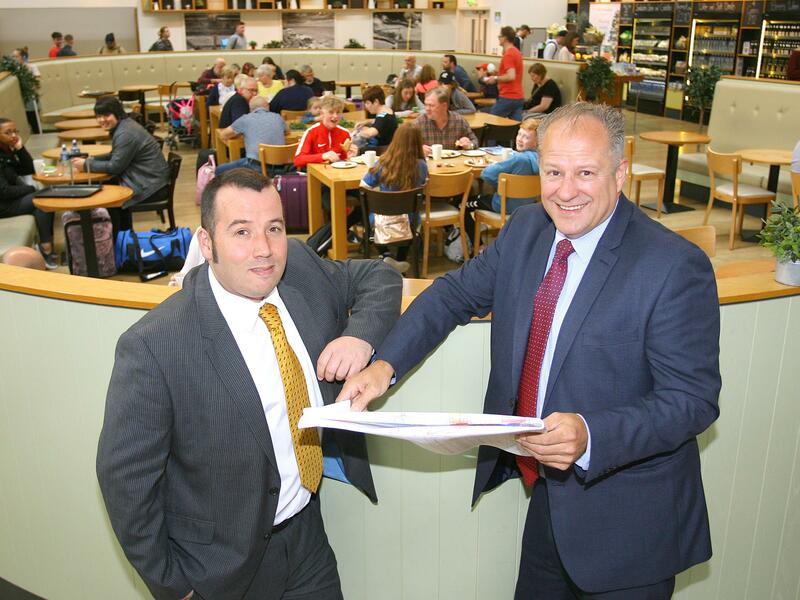 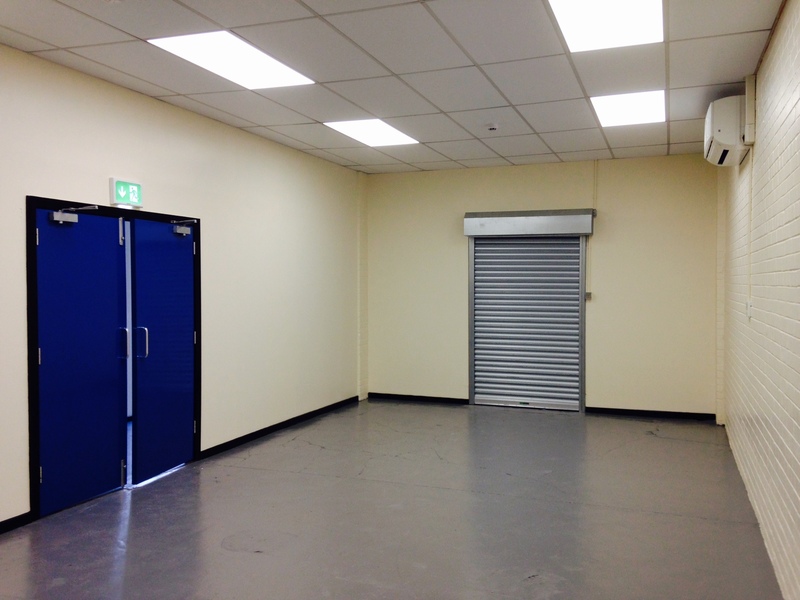 A new business, designed to enhance facilities at Park & Fly, has been started at Belfast International Airport. 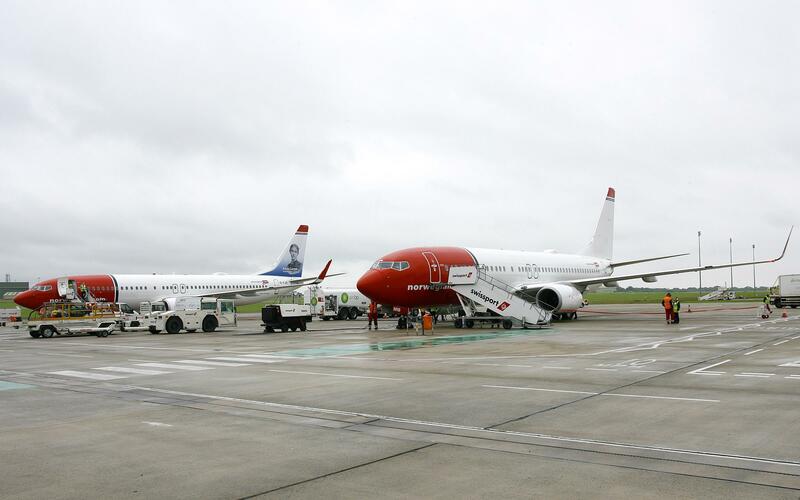 Belfast International Airport is poised for its busiest winter ever with airlines confirming almost 300,000 additional seats to their existing schedules over the course of the season. 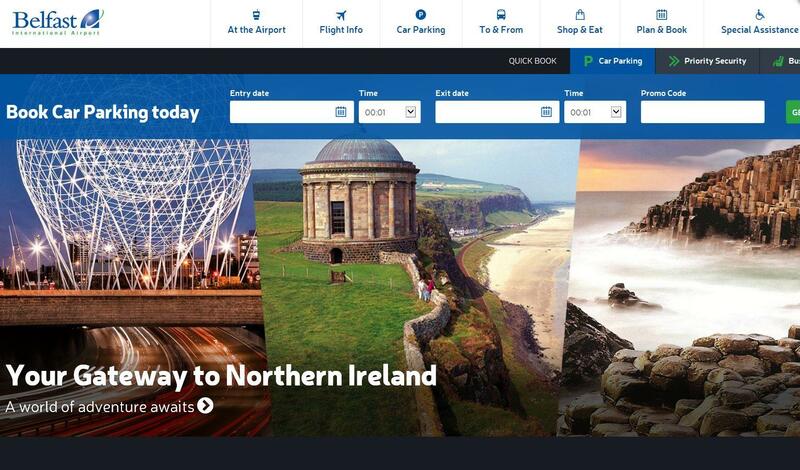 Belfast International Airport has unveiled a new website packed with up-to-the-minute information and news. 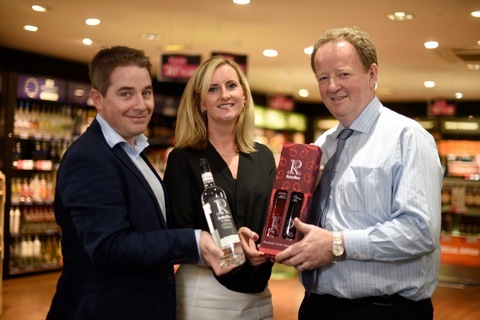 RubyBlue Vodka, produced by Hughes Craft Distillery in Northern Ireland, has been added to the products sold at the Duty Free in Belfast International Airport. 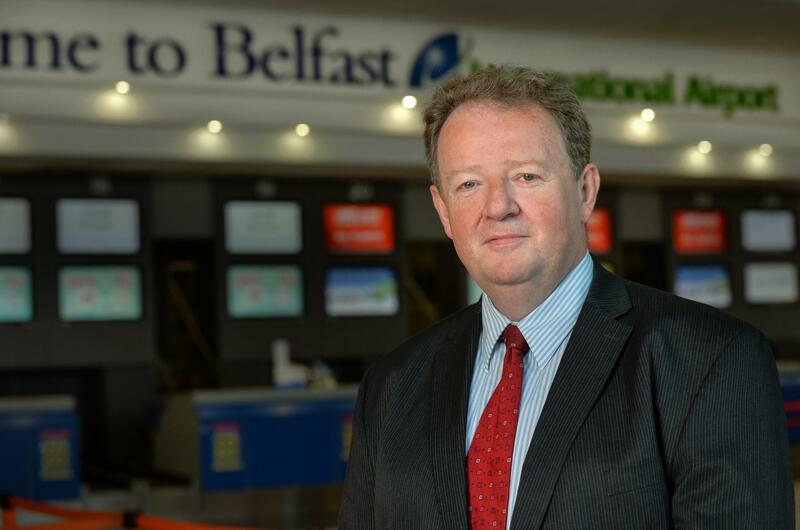 Belfast International Airport Managing Director, Graham Keddie, has said the latest passenger growth figures should serve as a call to action by the local administration. 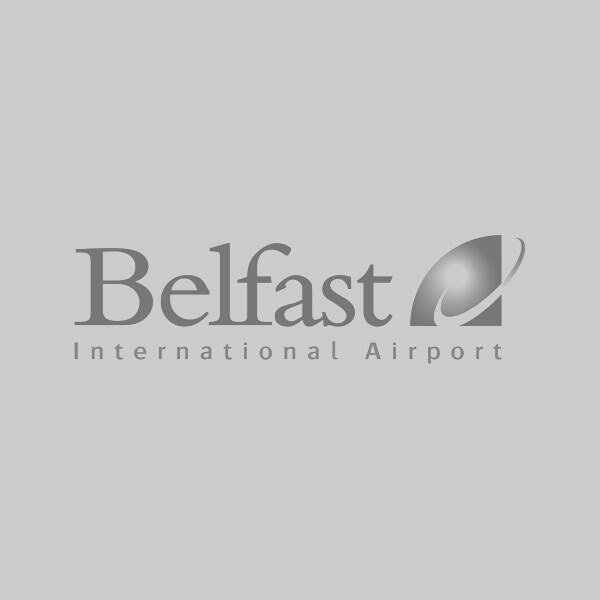 It’s not many businesses today who can boast service totalling 750 years, but Belfast International Airport is one which can. 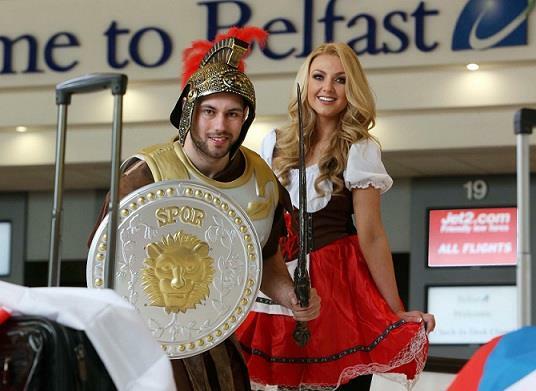 Passenger numbers are up eight percent at Belfast International Airport as staff prepare to deal with the big holiday getaway. 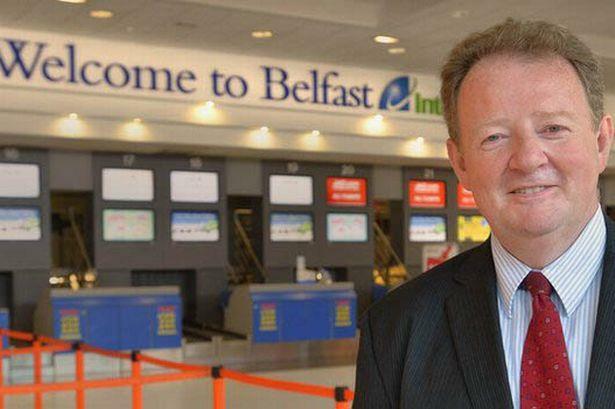 Belfast International Airport Managing Director, Graham Keddie, is calling for illegal car parks operating near the airport to be served with 'Stop Notices'. 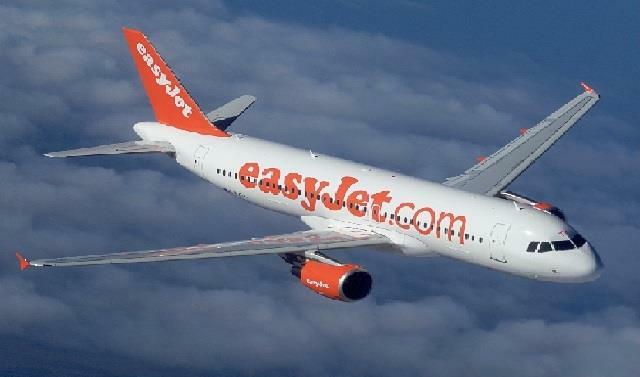 Belfast International Airport has welcomed the news from easyJet that it’s to add two routes to its expanding list of destinations from Northern Ireland. 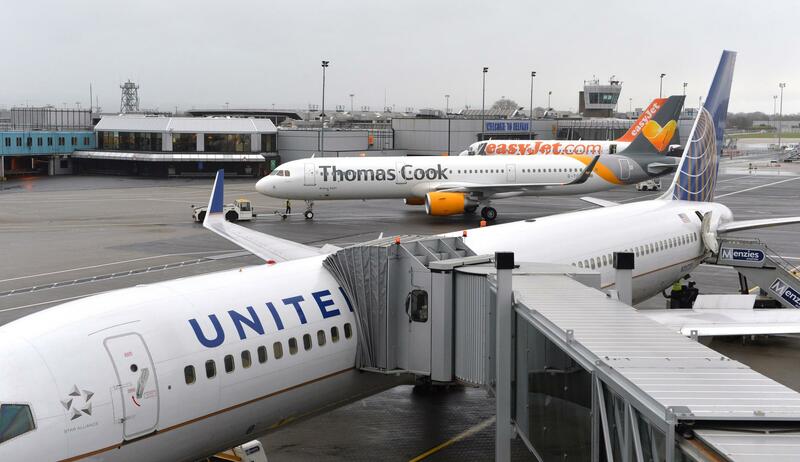 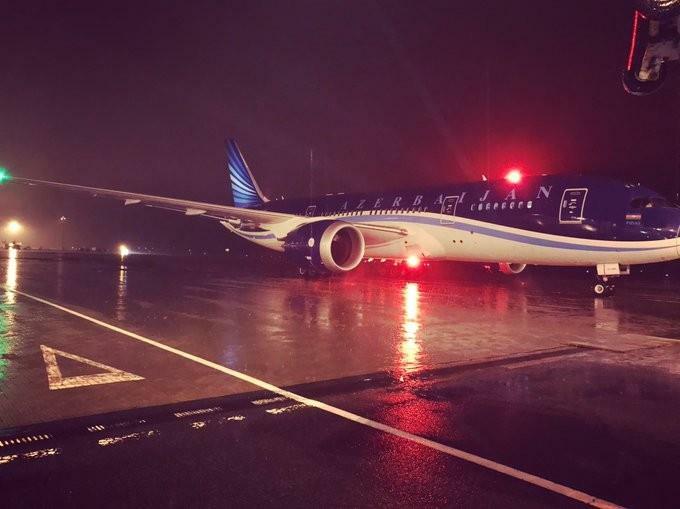 Belfast International Airport has set out the measures put in place to handle the unexpected influx of 282 passengers on board a diverted United flight from Rome to Chicago. 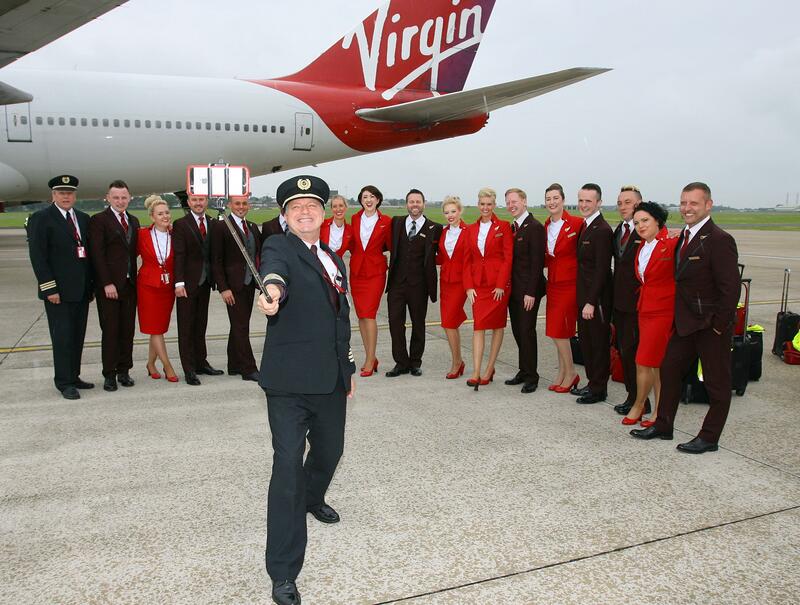 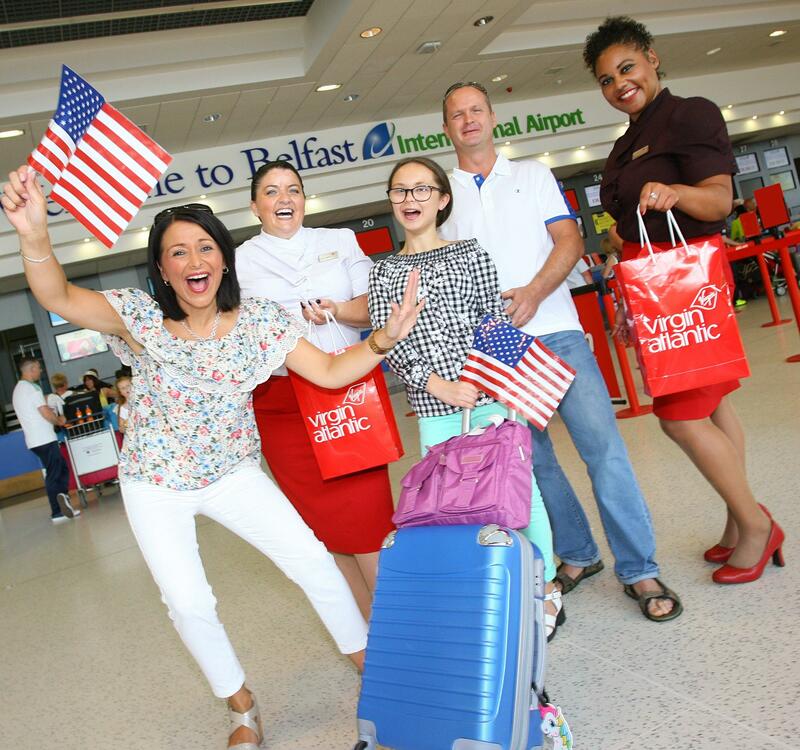 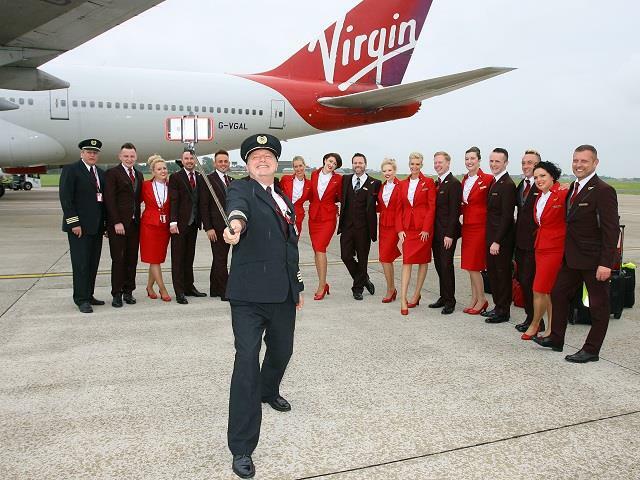 Virgin Atlantic is today celebrating the first of its new summer flights between Belfast and Orlando and is delighted to announce the return of the route for next year. 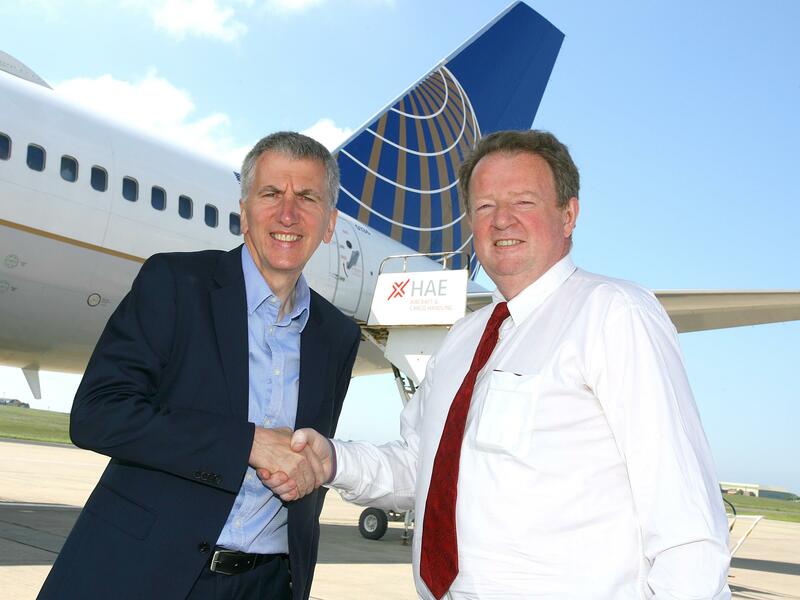 Extra staff were brought in....food outlets were opened....bottled water and blankets were distributed.... as the airport moved into response mode to deal with a diverted United flight en route from Rome to Chicago. 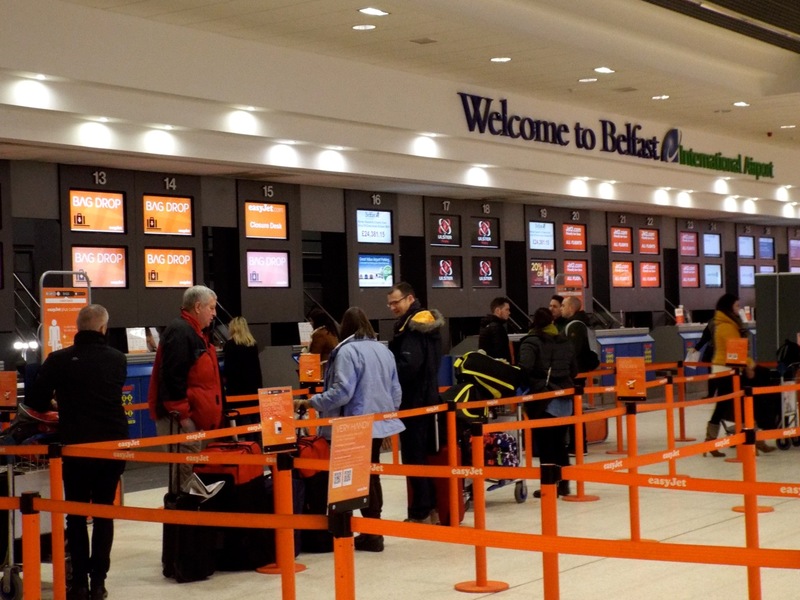 Belfast International Airport is reminding passengers they will be refused access to their flights if their behaviour is unacceptable. 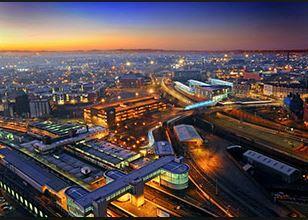 Dublin’s bragging has done us all a great favour! 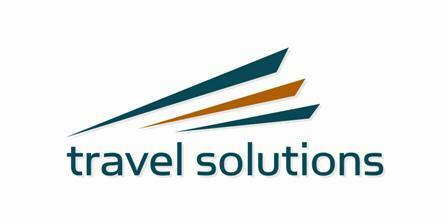 Let us make the most of Routes Europe 2017! 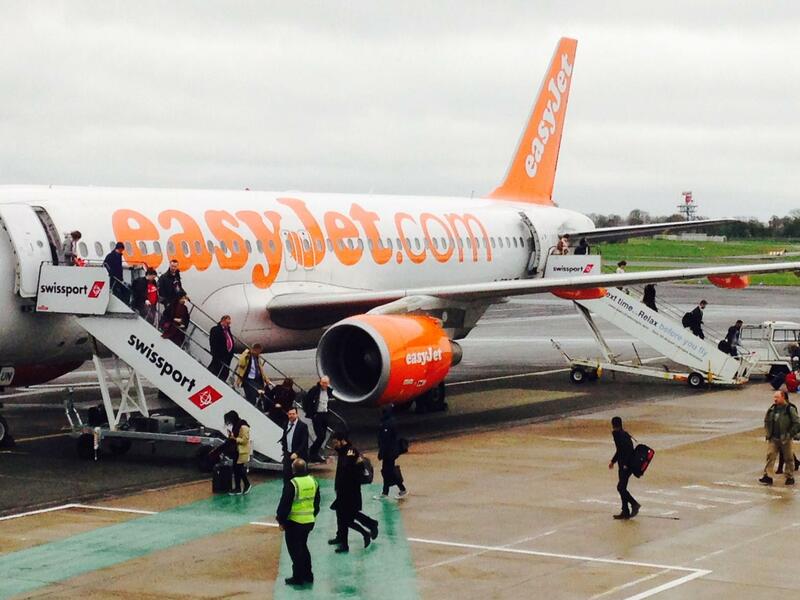 Czech it Out – We’re Off to Rome and Prague! 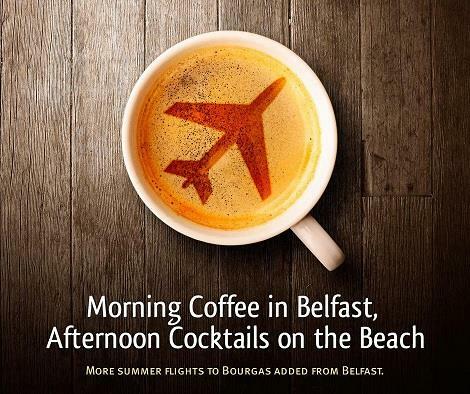 Balkan Holidays, www.balkanholidays.co.uk the leading tour operator to Bulgaria, has announced that it will be adding an additional weekly flight from Belfast to Bourgas, Bulgaria, this Summer. 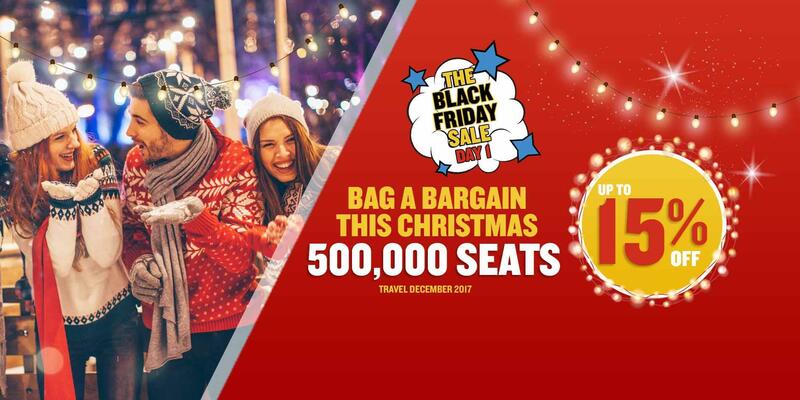 Special d discount code available - BFSS10. 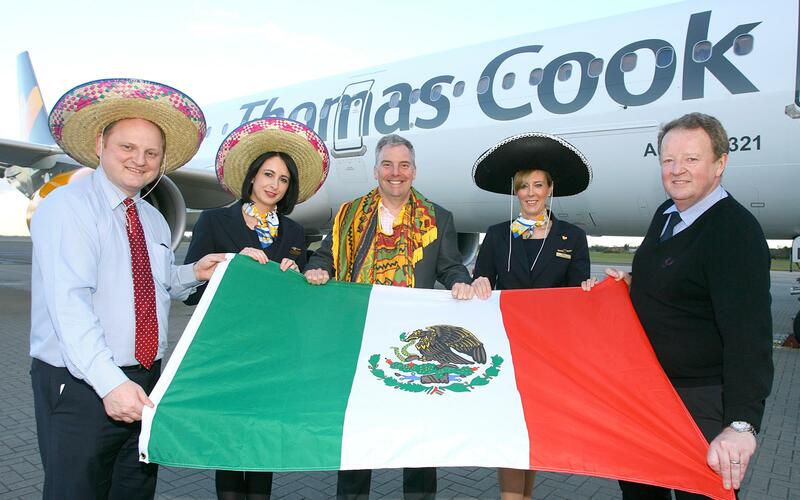 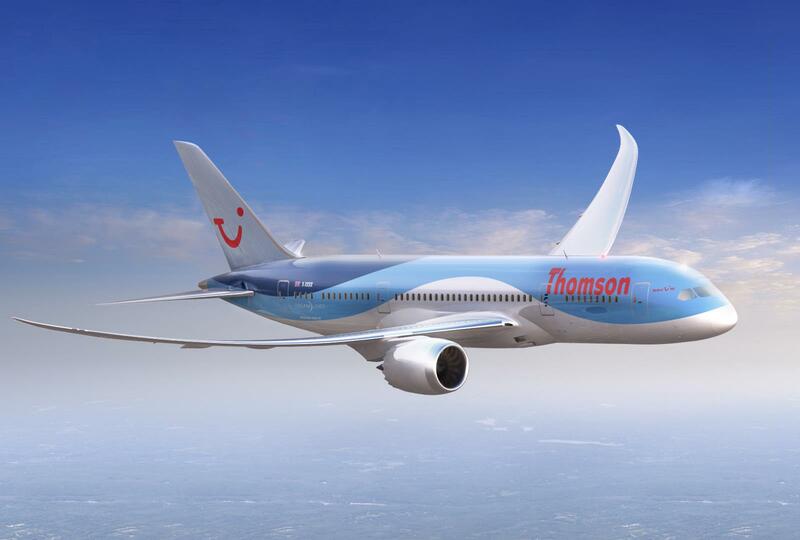 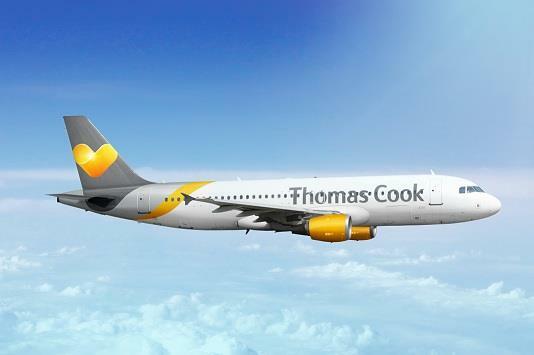 Thomas Cook Airlines has announced that it is adding another three flights to Florida for Summer 15 direct from Belfast International Airport. 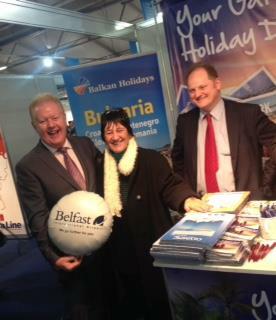 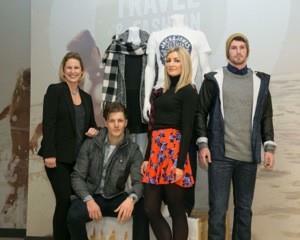 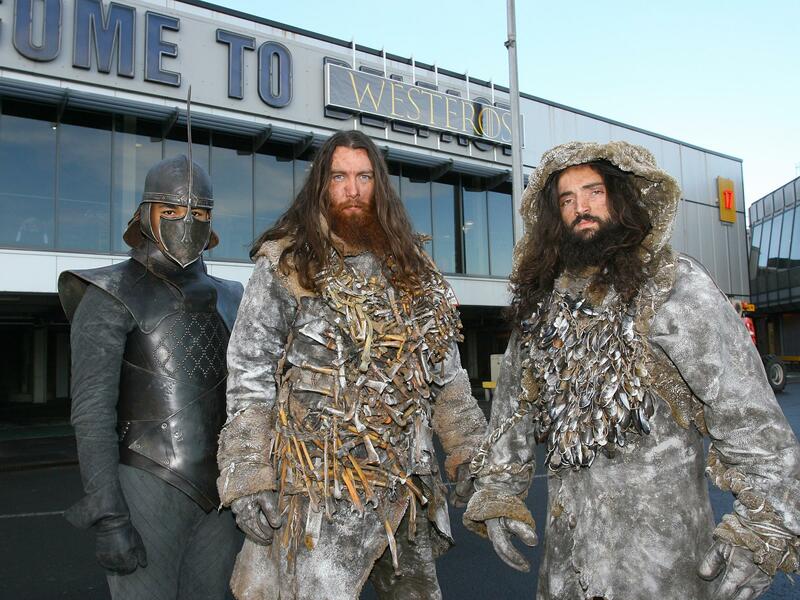 Business was brisk at the airport stand at the Holiday World event in Belfast at the weekend. 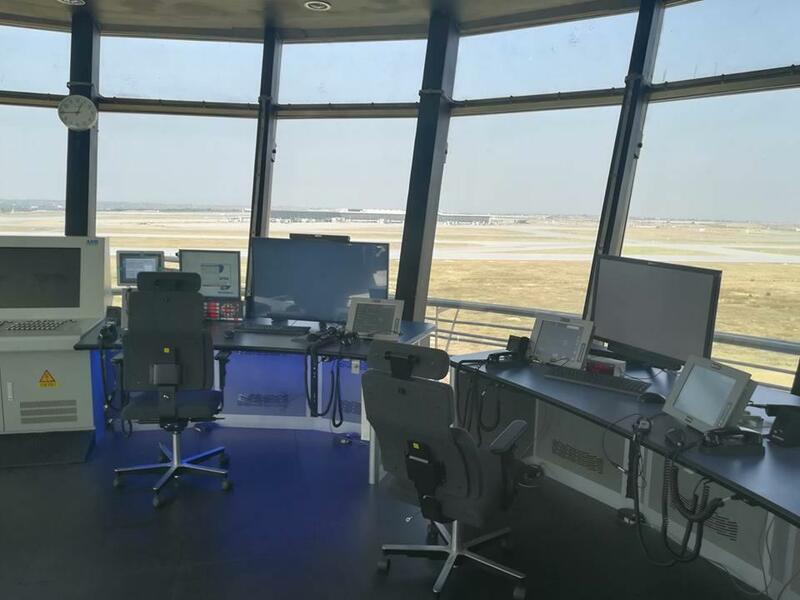 If you have a media enquiry or would like to speak to one of the press team, you can reach us between 09.00 and 17.00 Monday to Friday on pressoffice@bfs.aero or by calling 028 9448 4035 / 4067. 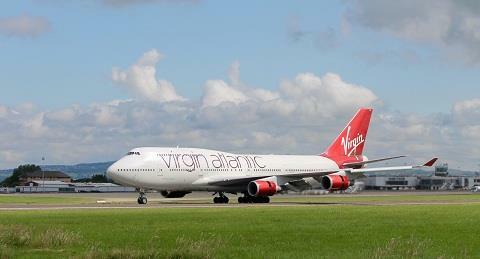 Outside of these hours, please email pressoffice@bfs.aero or call 07976 212666. 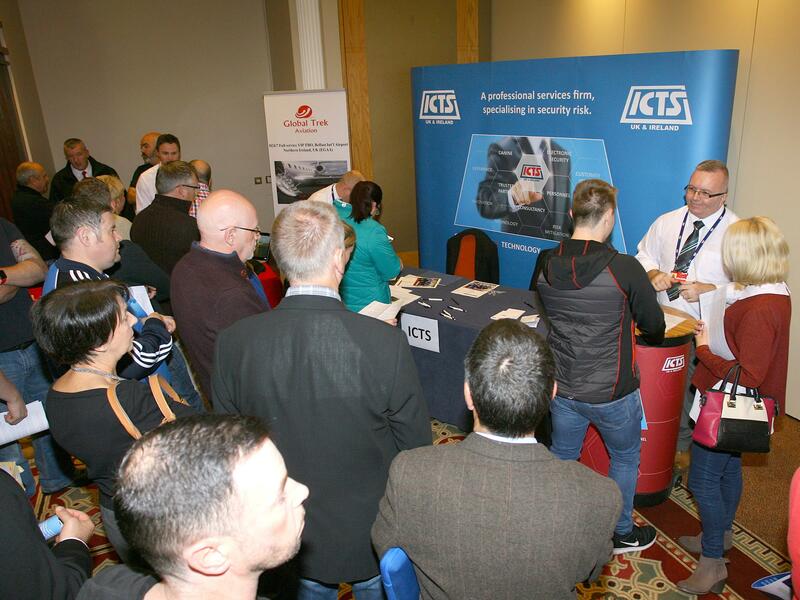 On calling you’ll hear a message prompting you to leave the full details of your enquiry, a member of the press team will contact you if necessary.